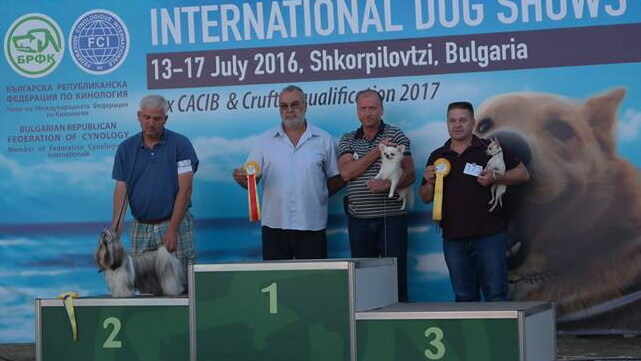 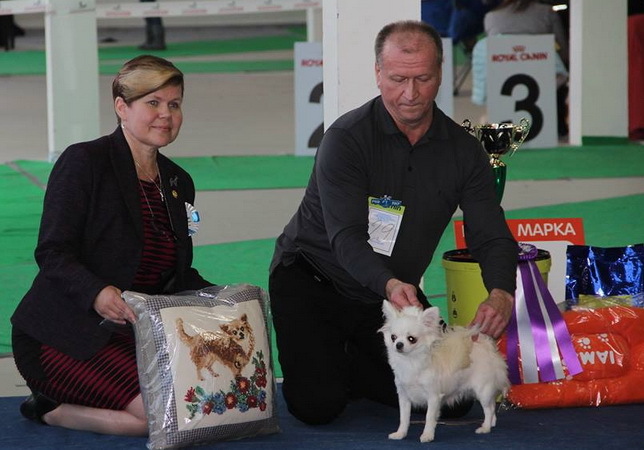 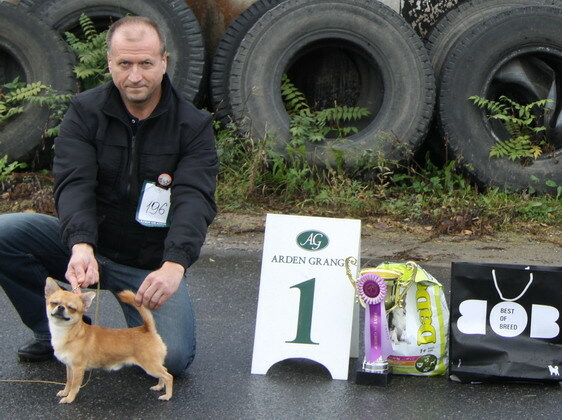 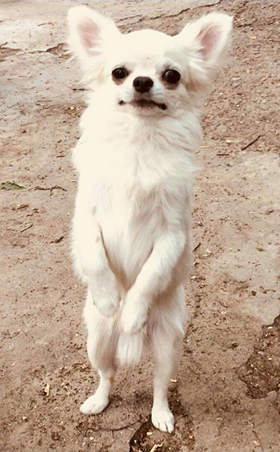 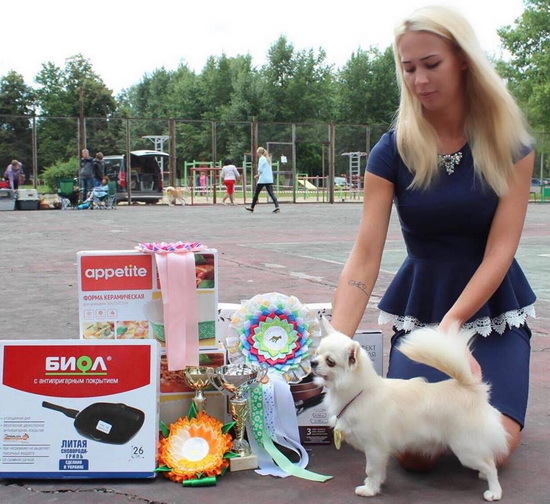 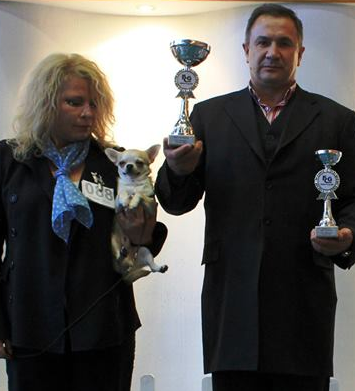 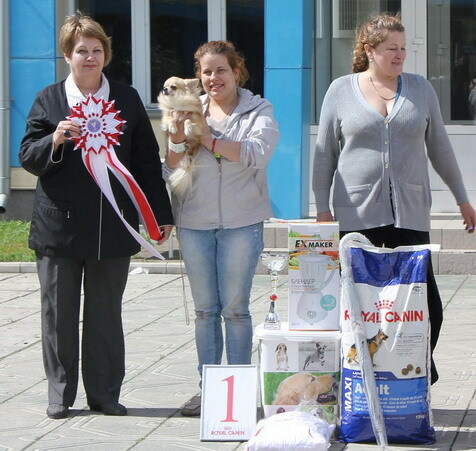 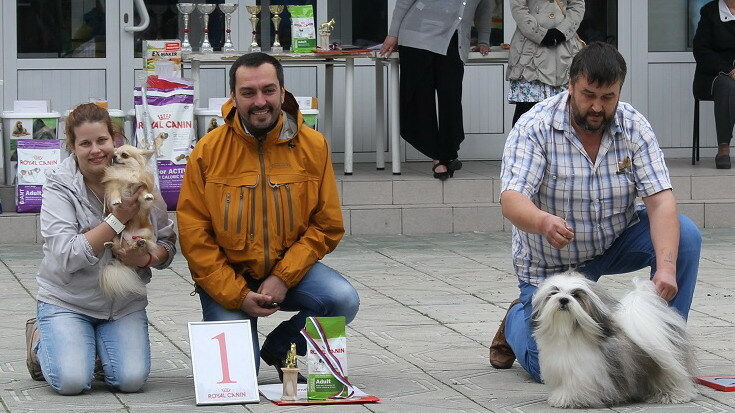 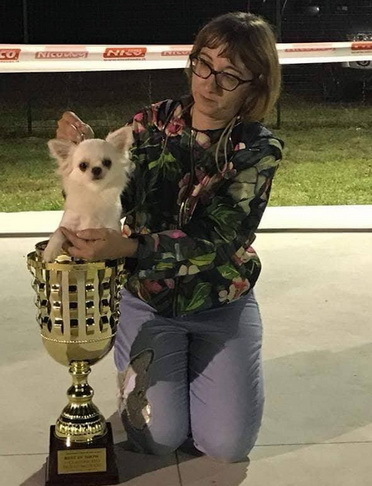 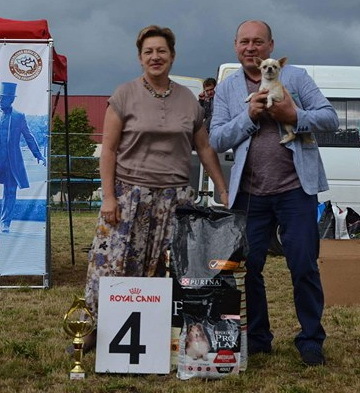 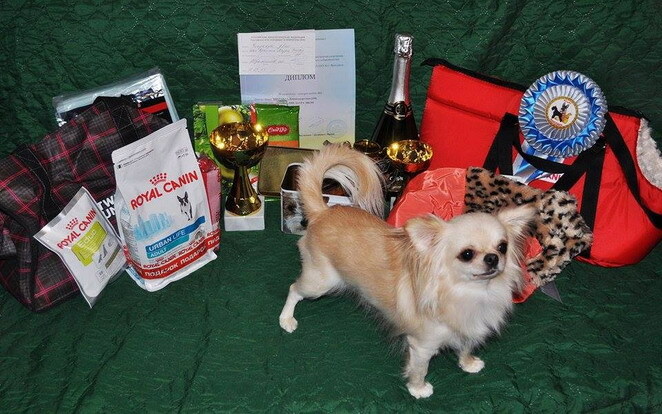 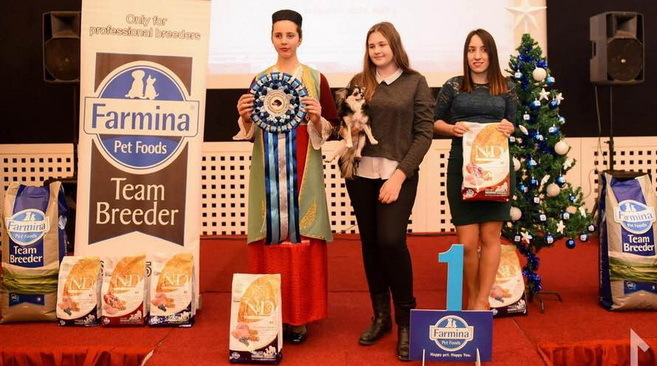 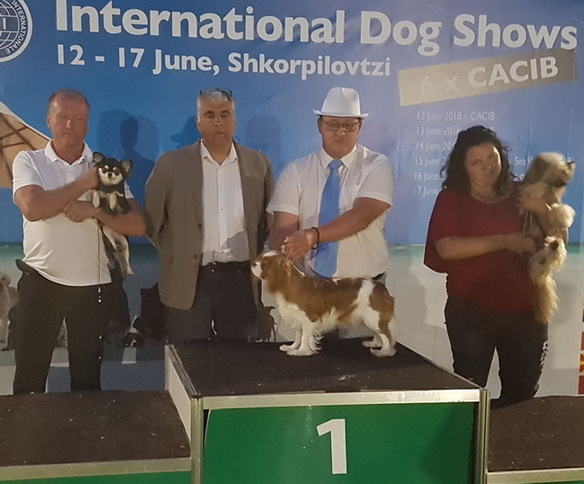 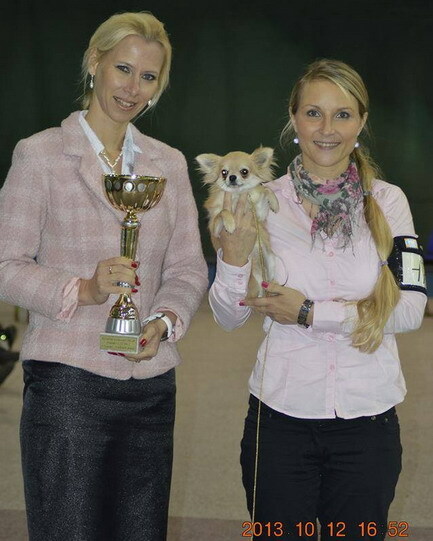 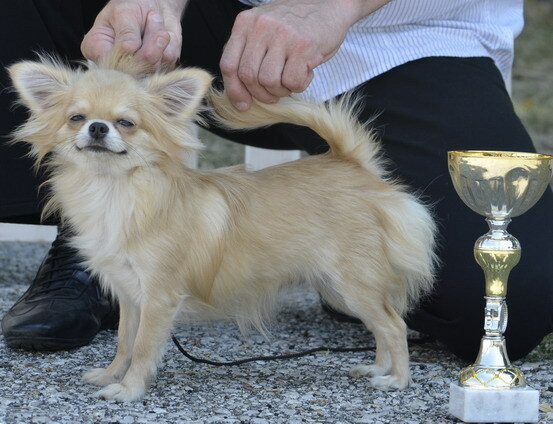 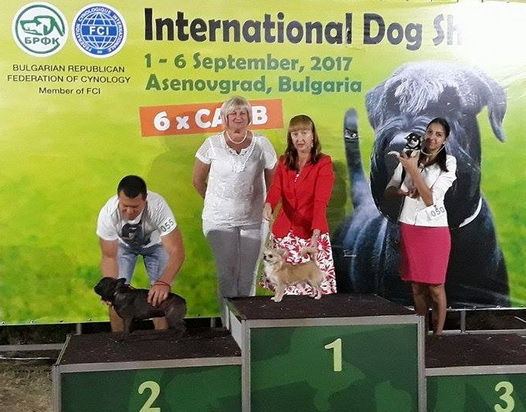 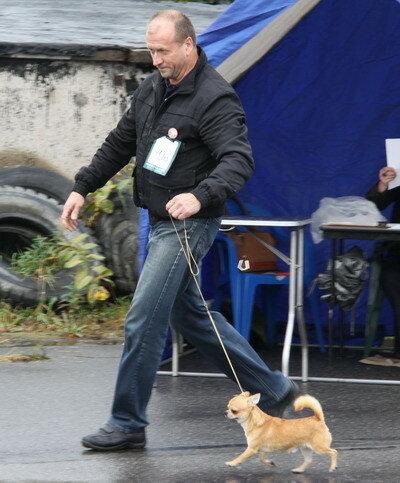 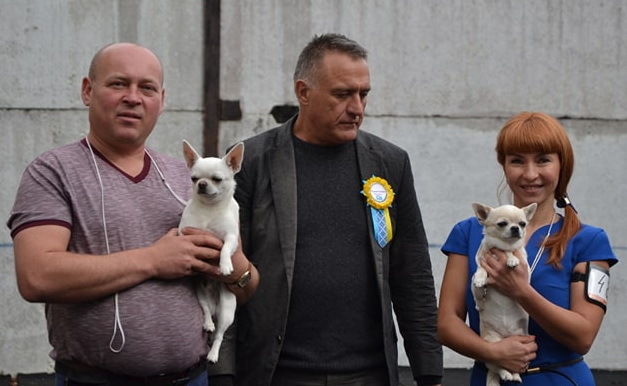 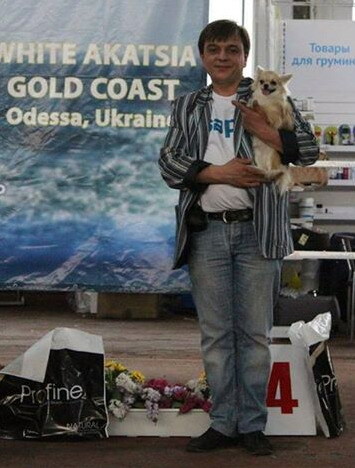 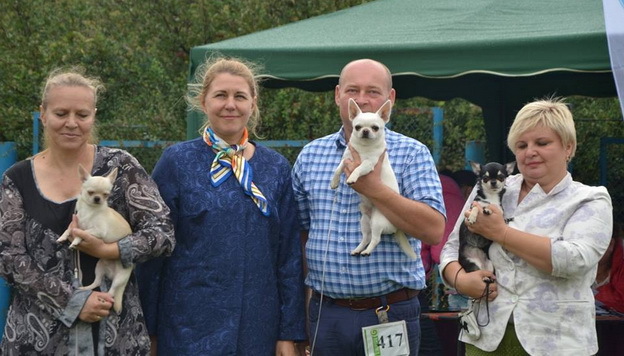 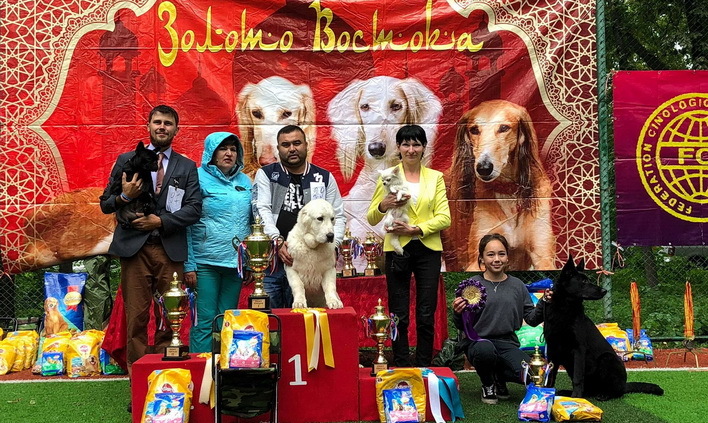 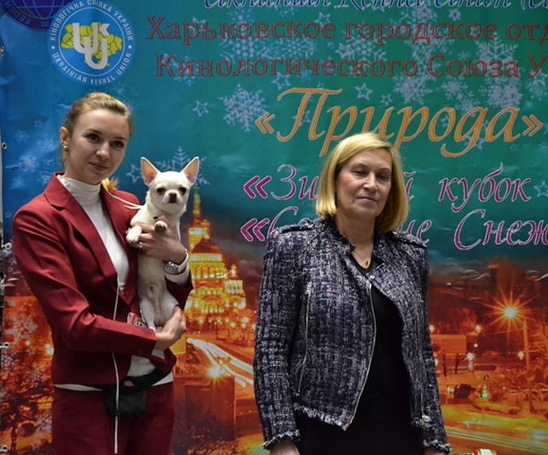 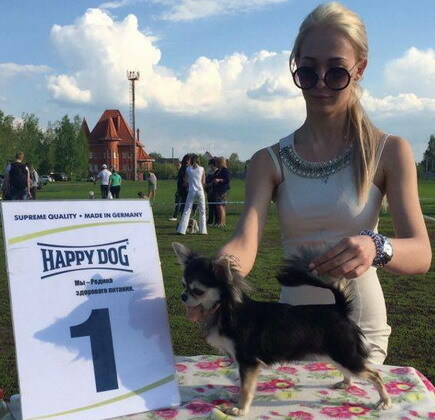 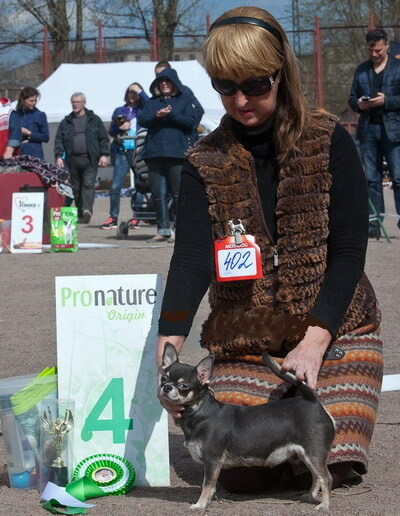 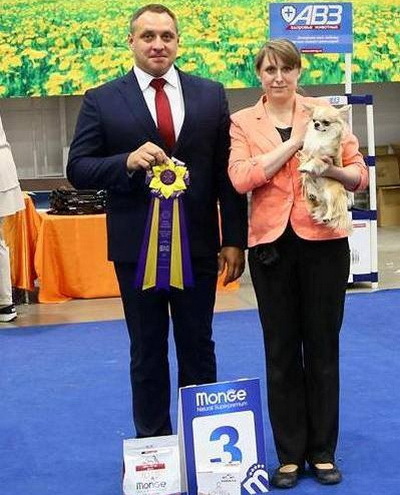 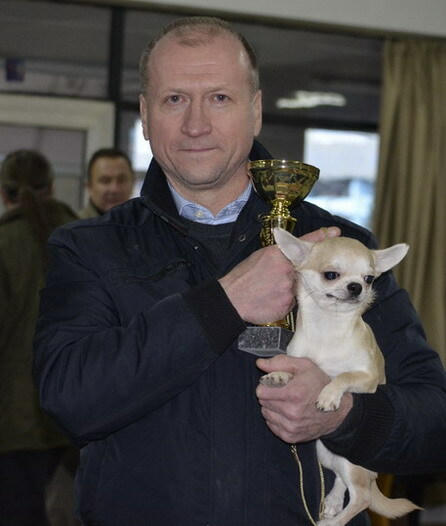 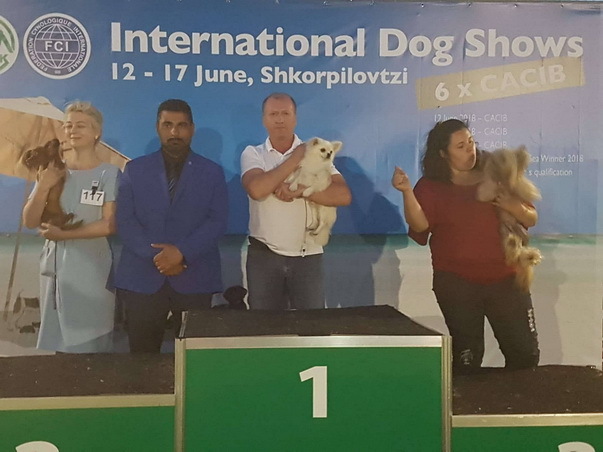 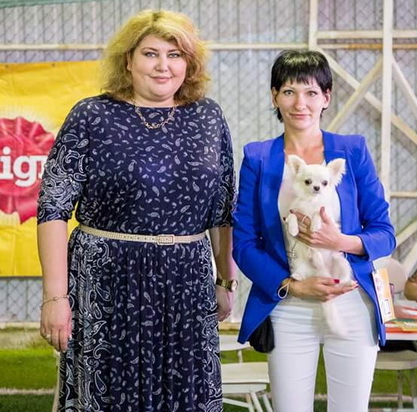 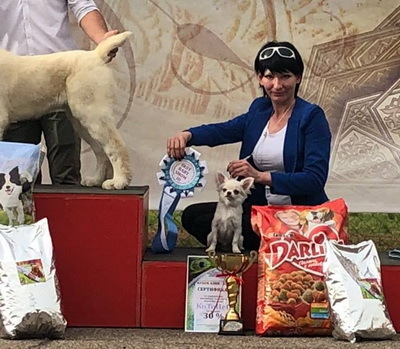 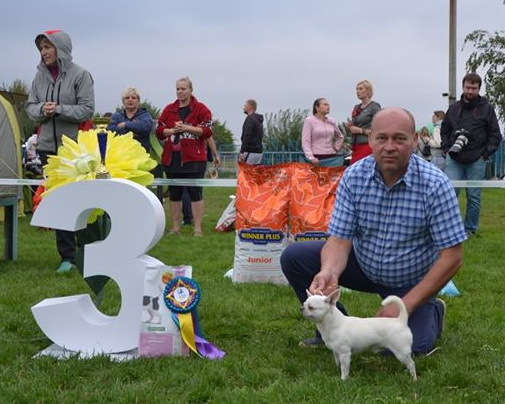 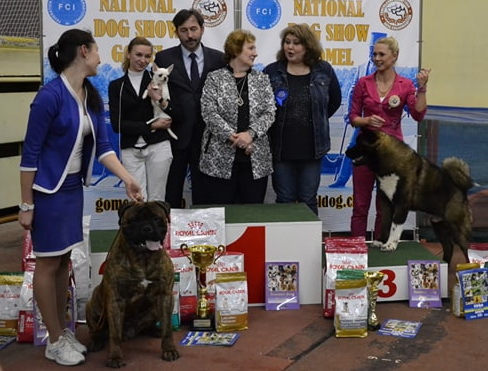 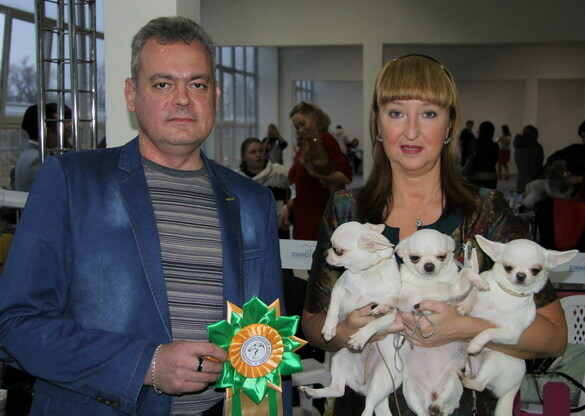 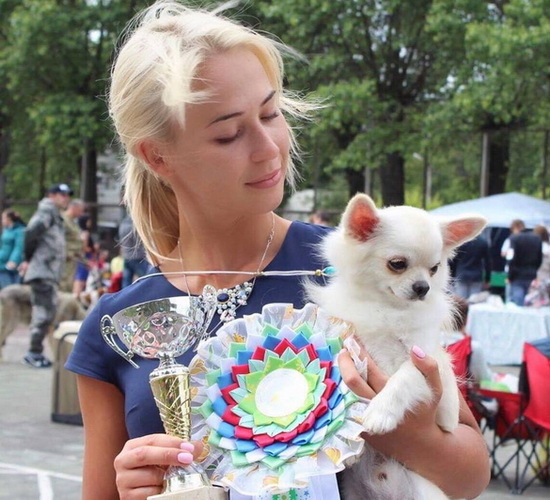 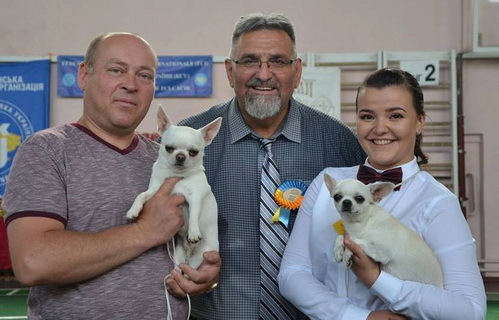 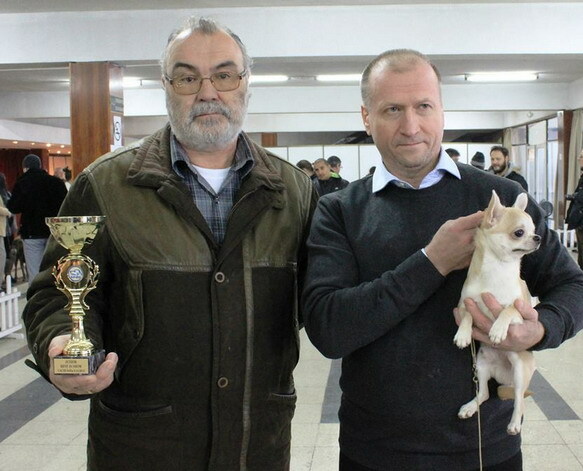 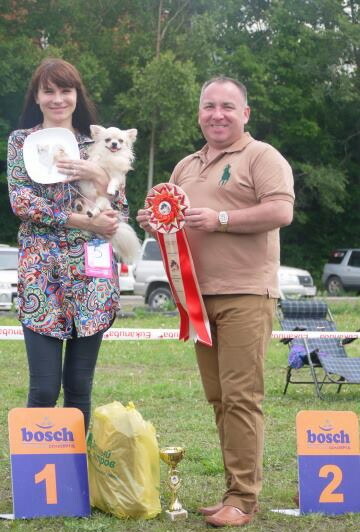 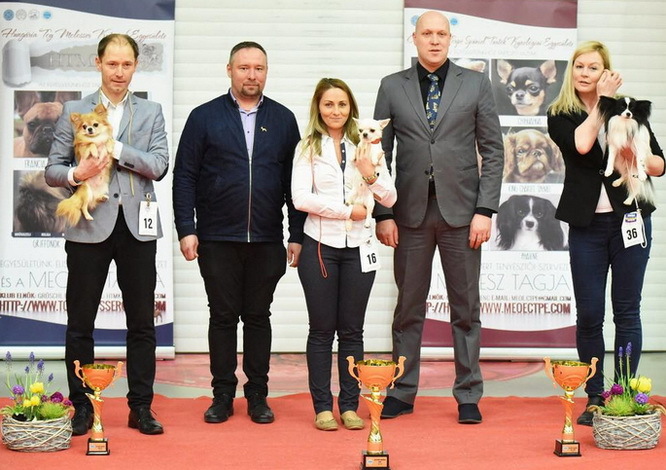 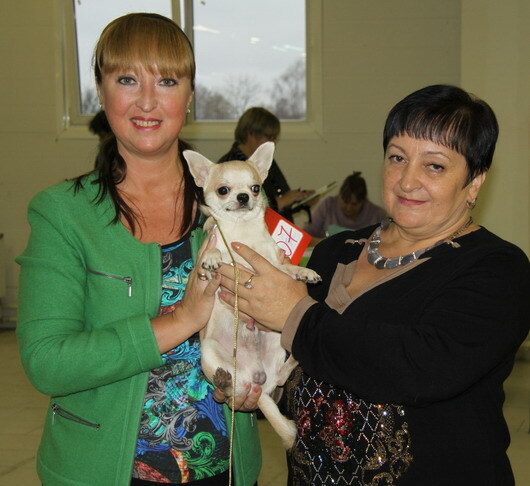 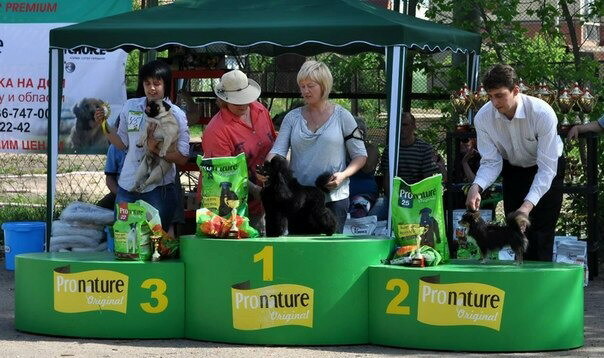 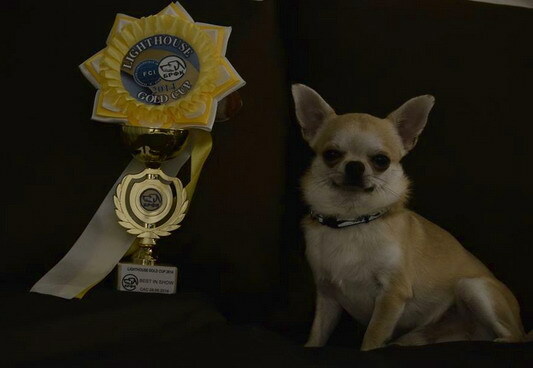 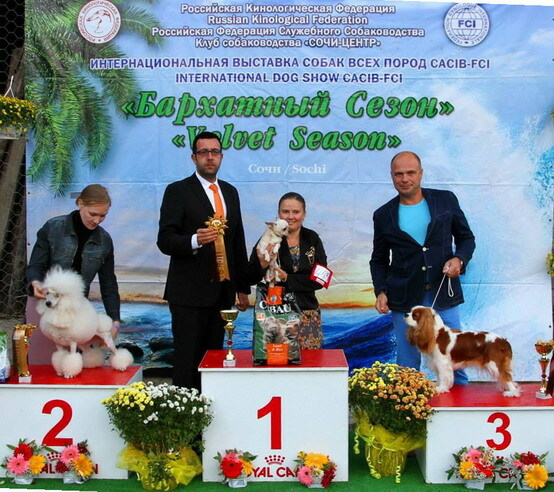 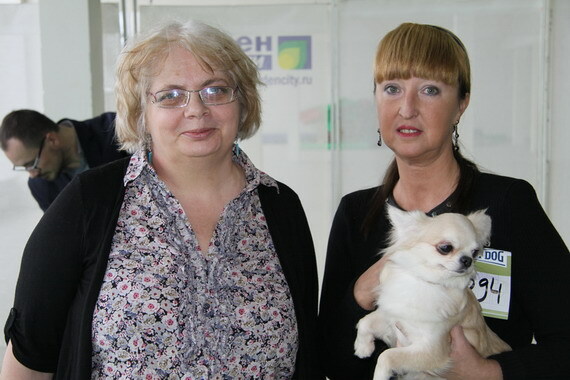 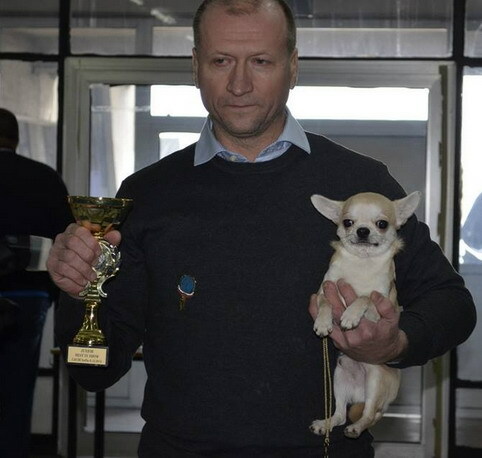 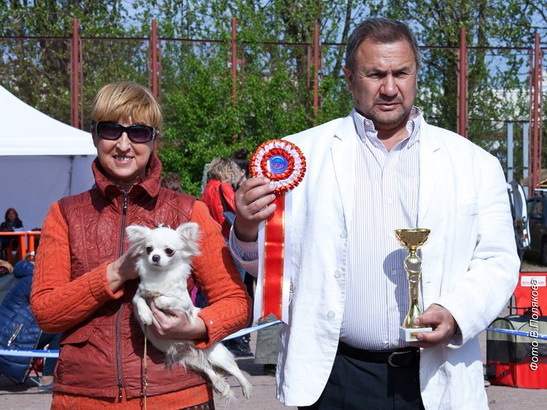 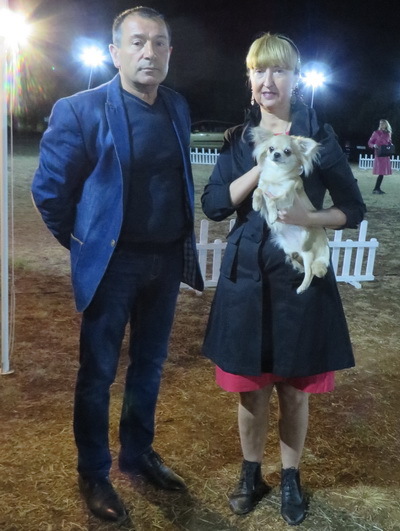 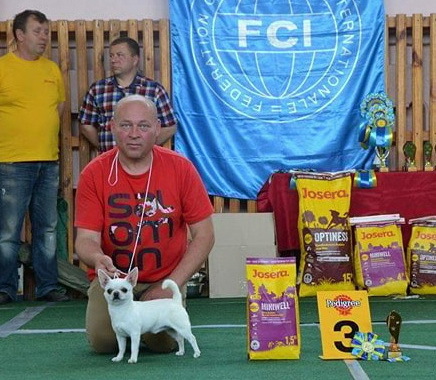 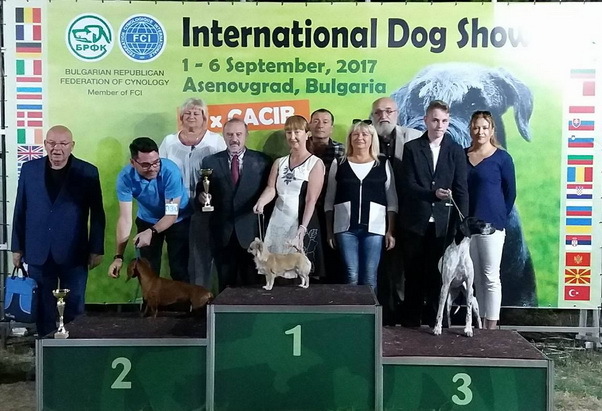 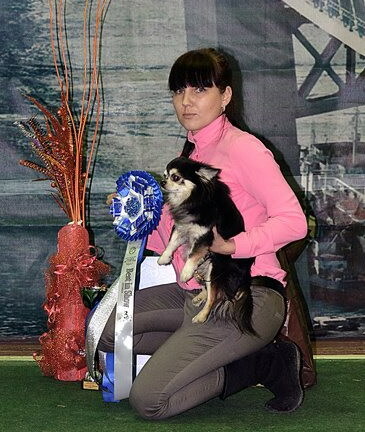 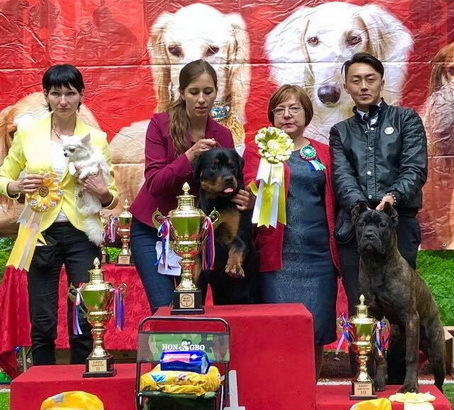 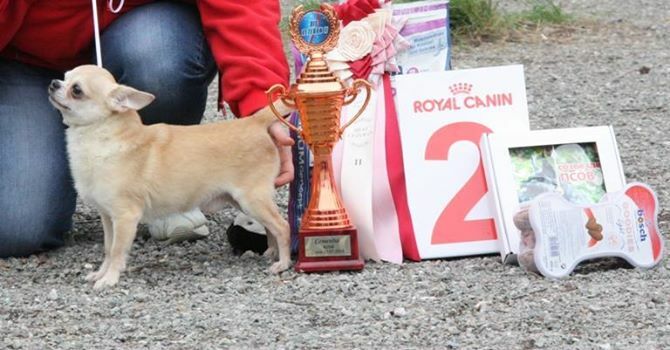 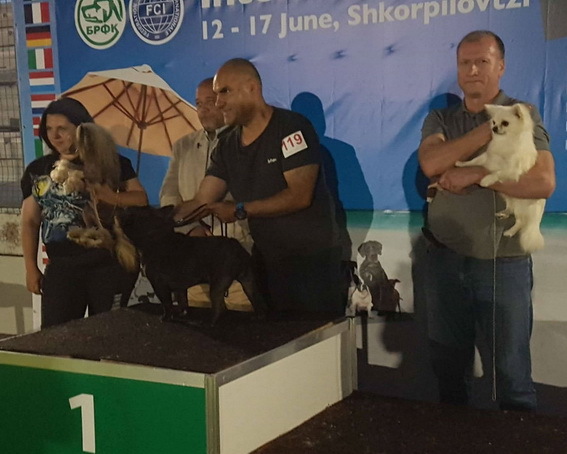 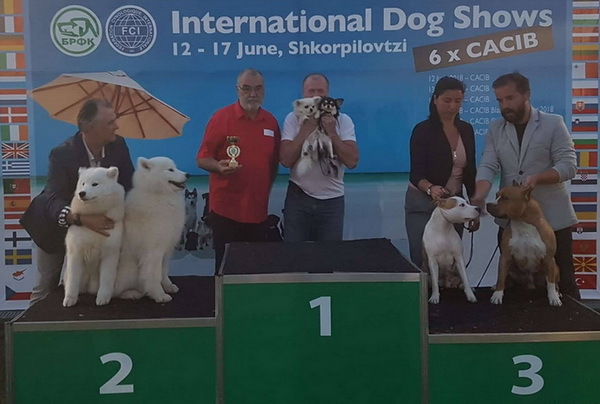 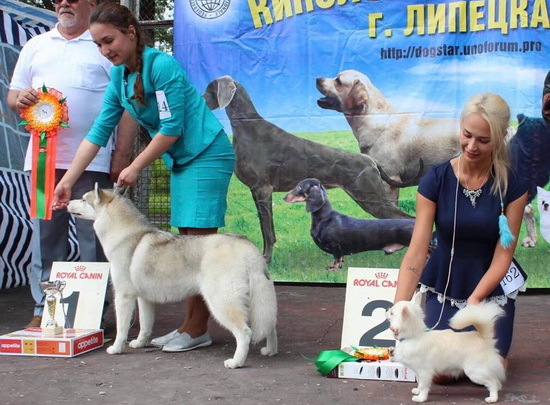 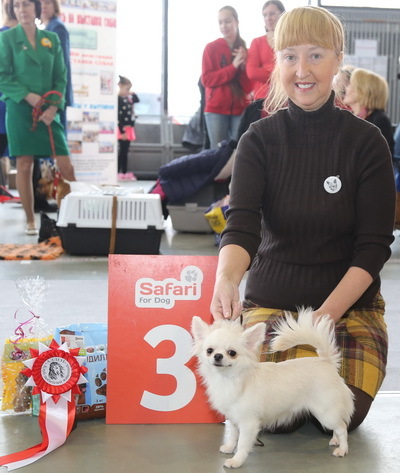 15.09.2018 DNEPR (UKRAINE) INTERNATIONAL dog showFCI - CACIB "Yriy Ovots's Cup - 2018"
Ex.1, BOJ, BEST IN SHOW JUN - 1 !!!!! 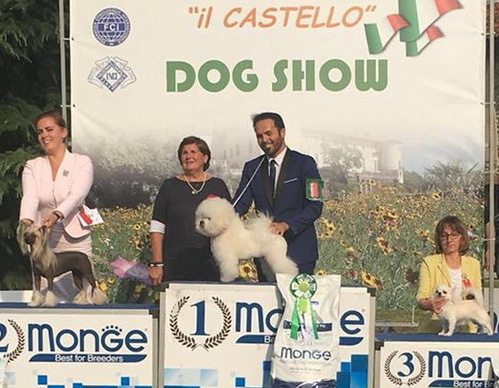 Esposizione Regionale Italia. 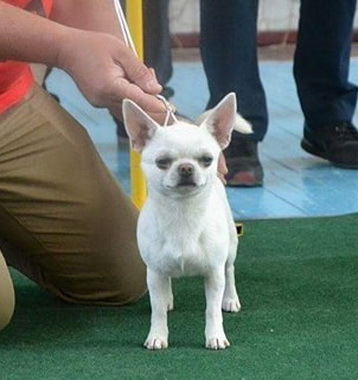 Exp. 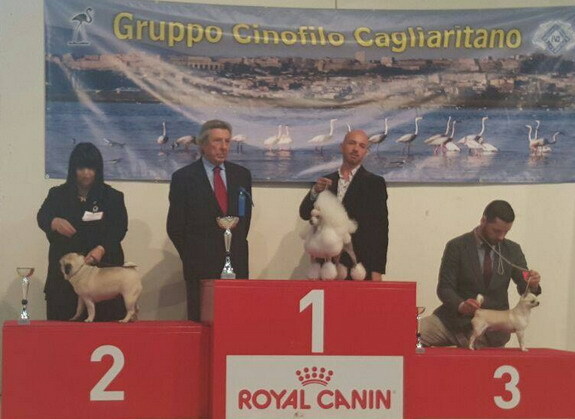 Giudici Cavalieri F. e Leonardo Marchegiani. 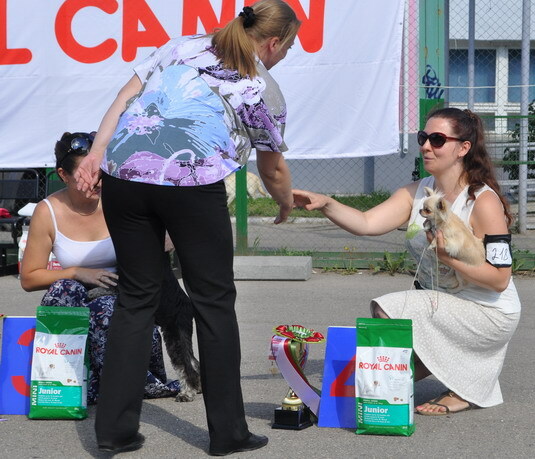 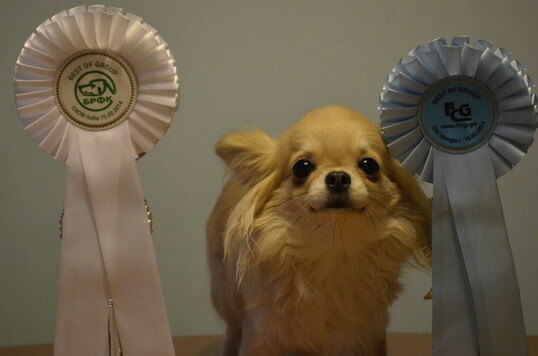 BEST IN SHOW BABY - I !!! 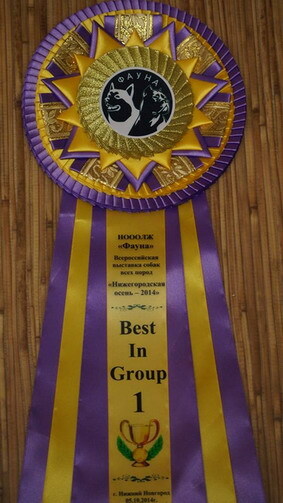 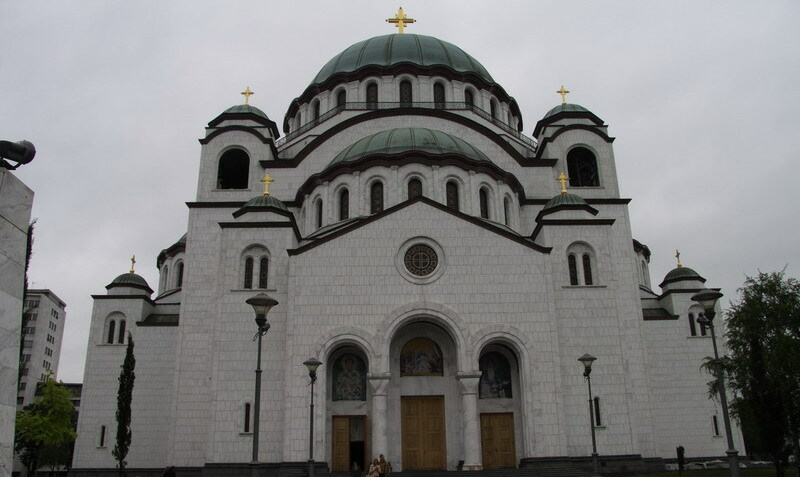 10.06.2018. 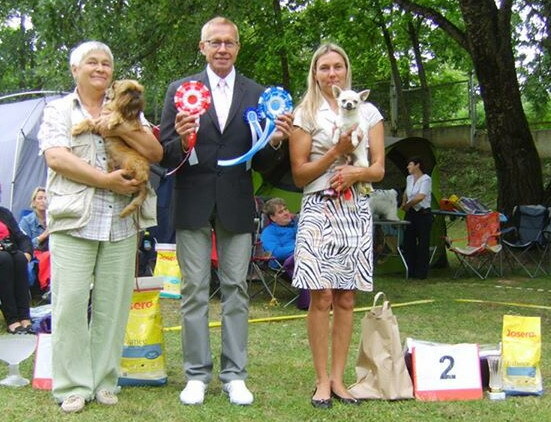 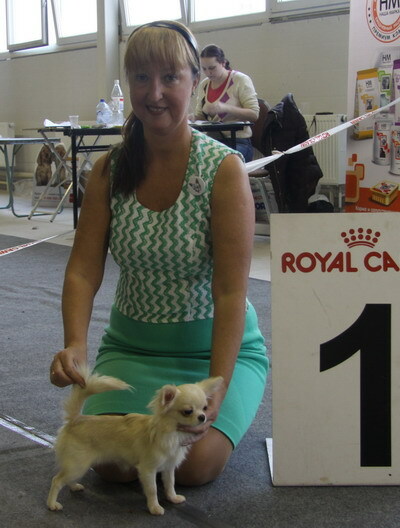 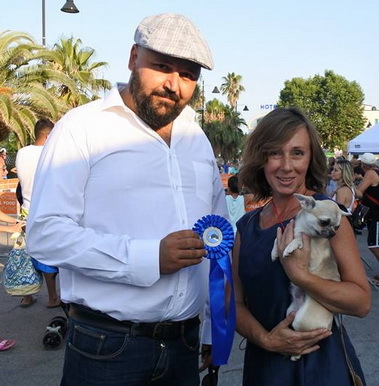 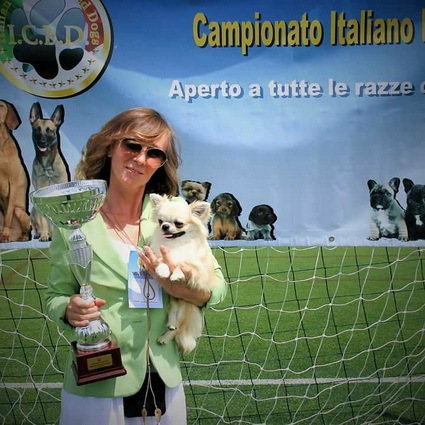 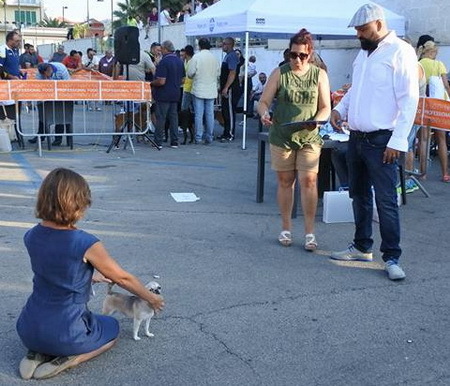 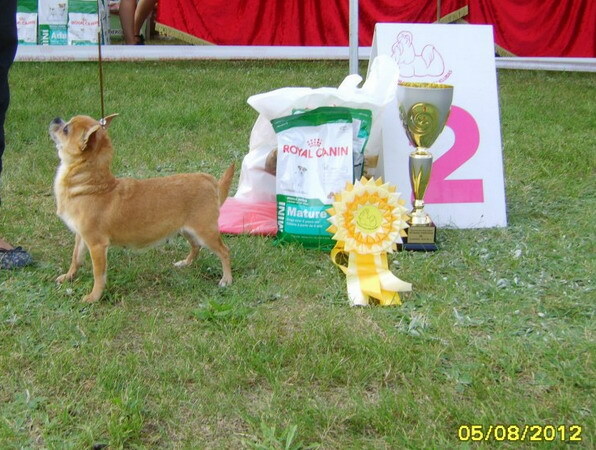 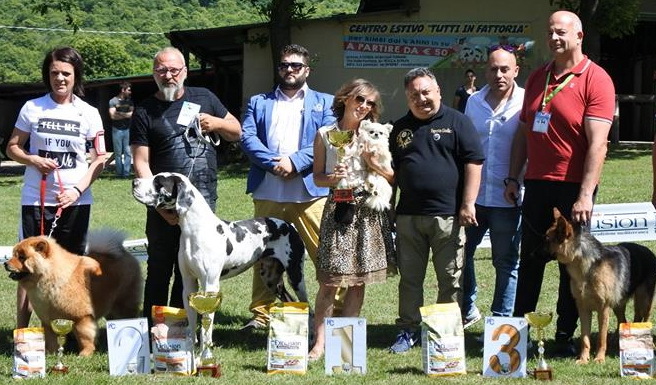 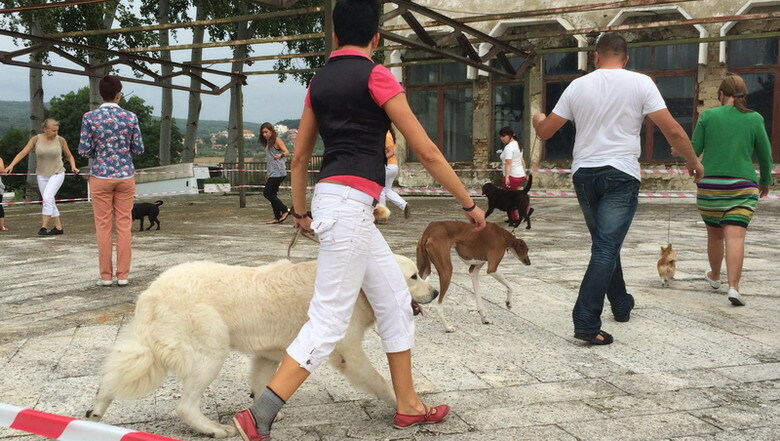 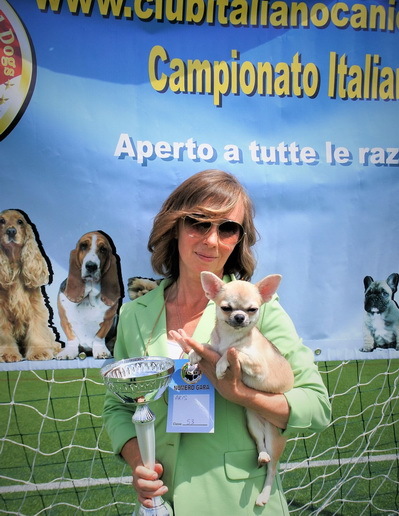 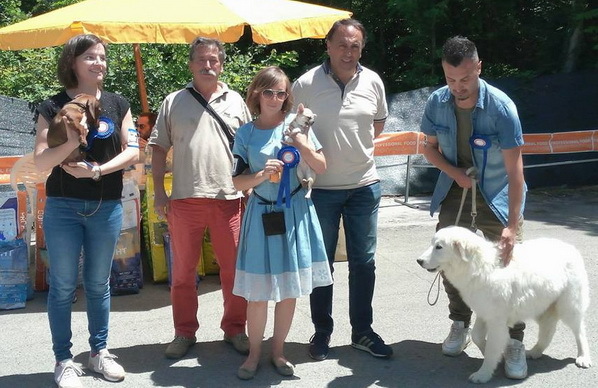 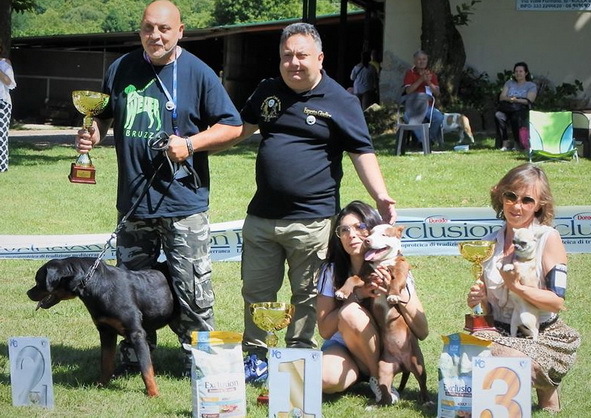 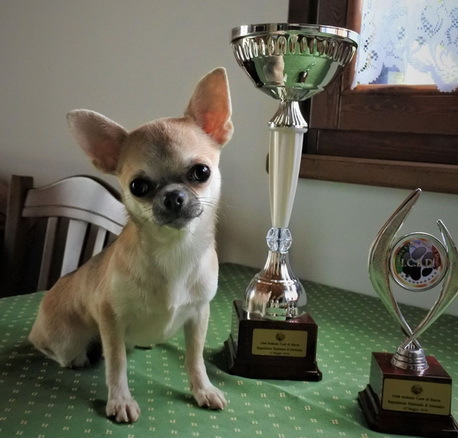 Esposizione Canina Nazionale (ICBD Roma,Italy) "Summer Dog Show"
JCAC, JBOB, BOB, BIG - 3 !! 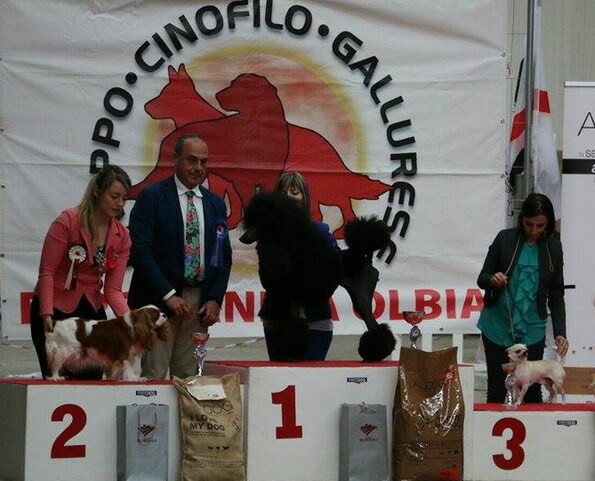 Ex1 CAC,CACIB 5,BOB,BIG II !!!!! 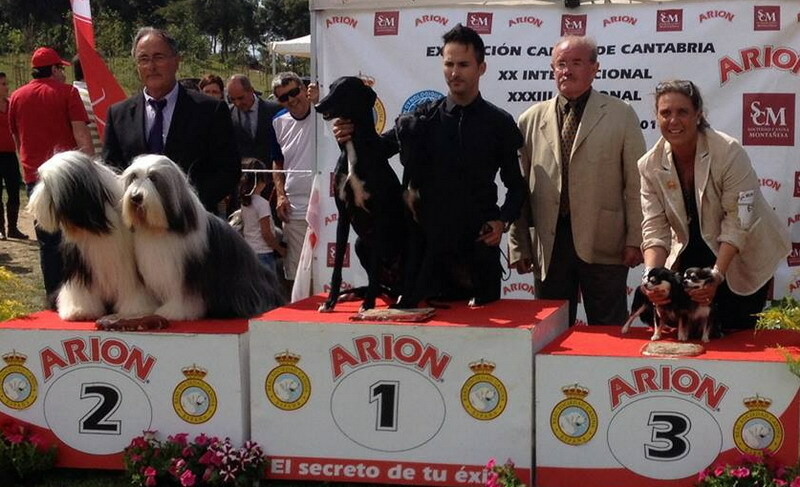 Ex1 CAC,CACIB 3,BOB,BIG I !!!!! 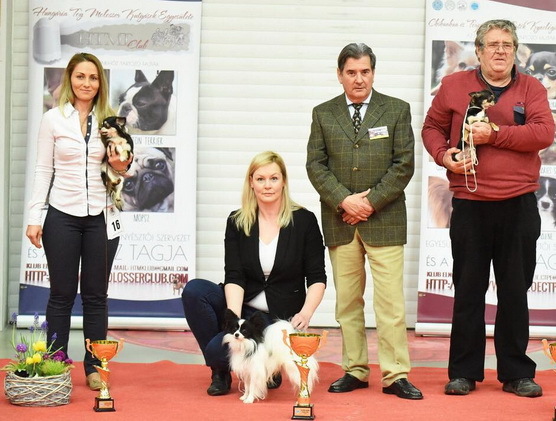 Ex1 CAC,CACIB 2,BOB,BIG I,BIS 1 !!!!! 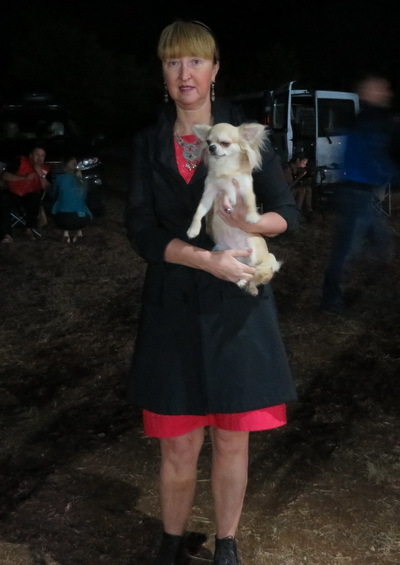 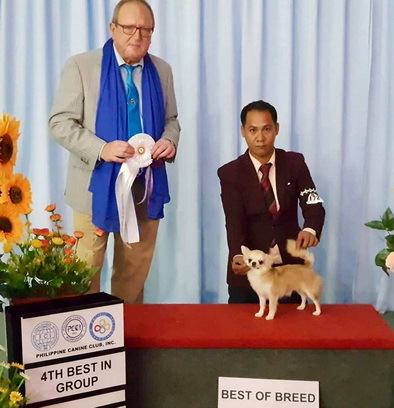 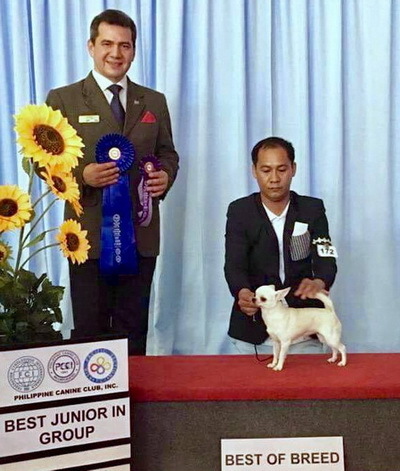 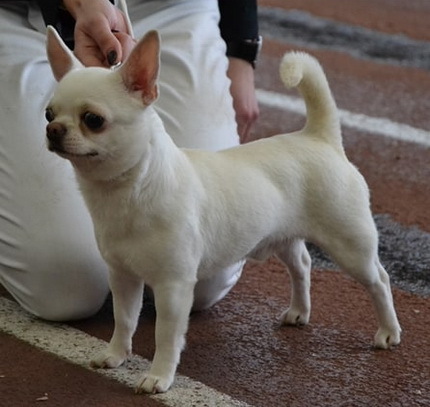 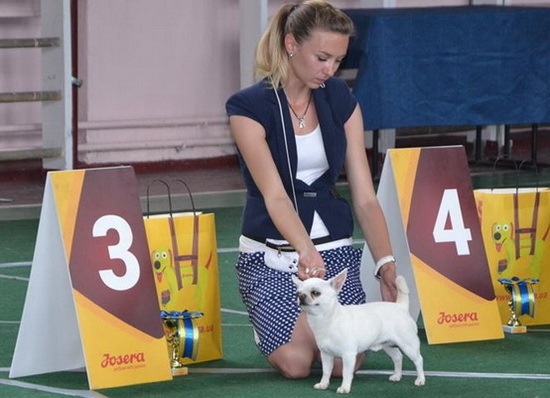 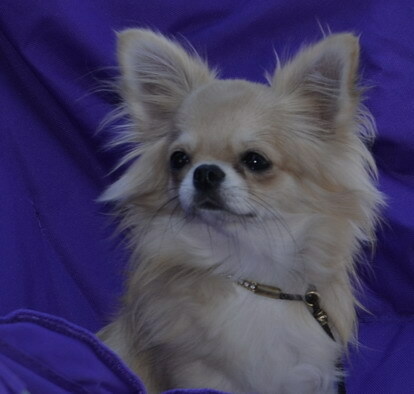 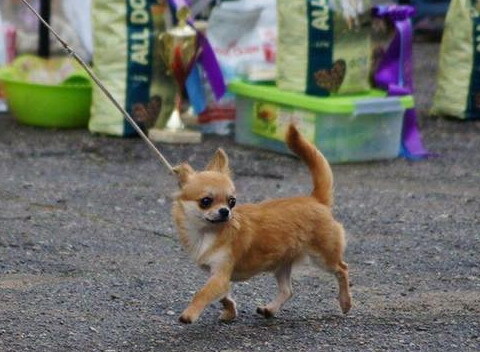 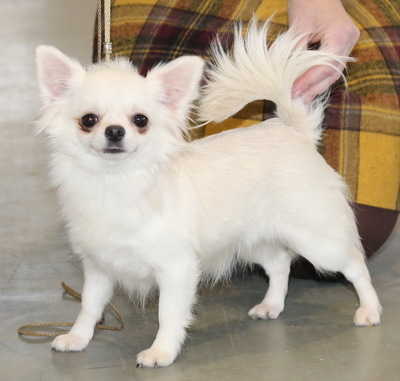 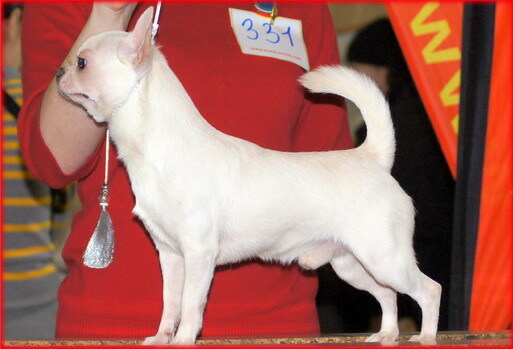 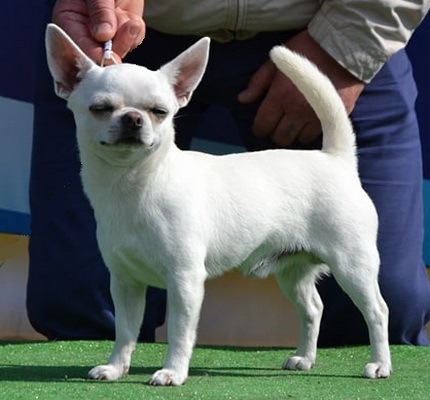 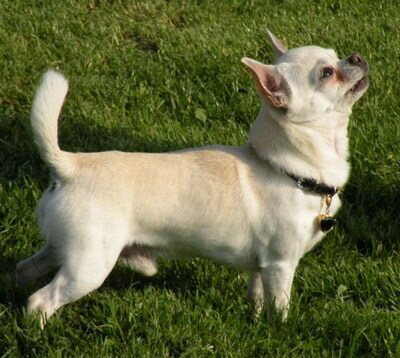 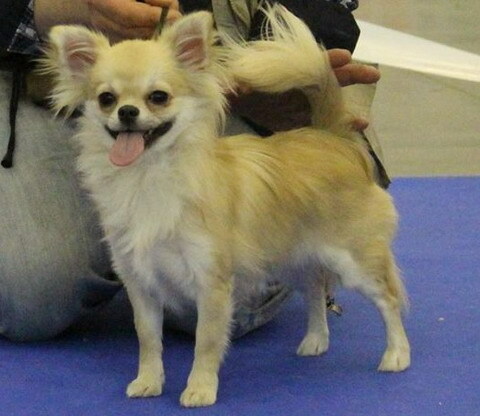 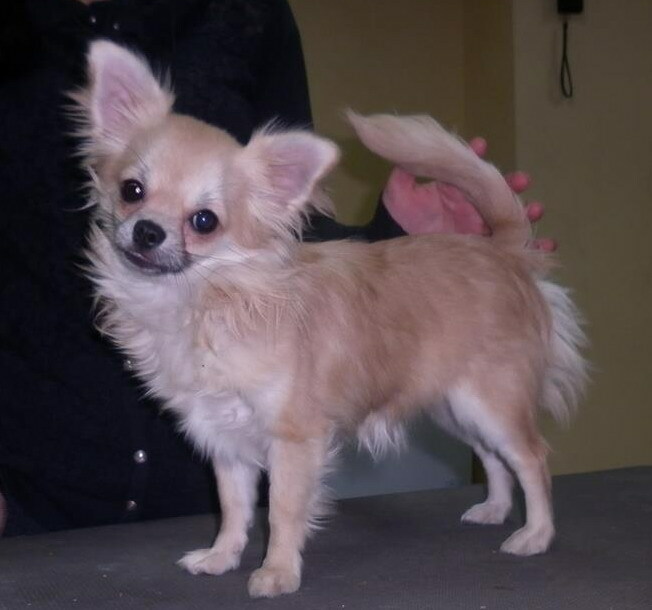 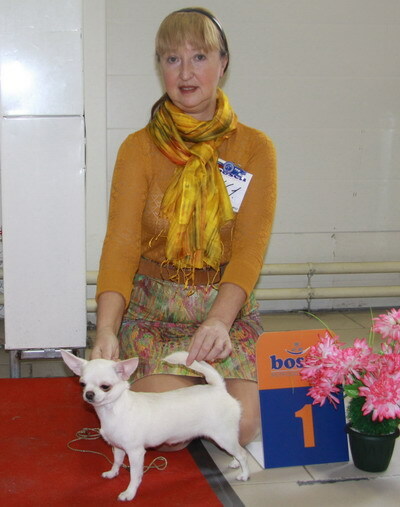 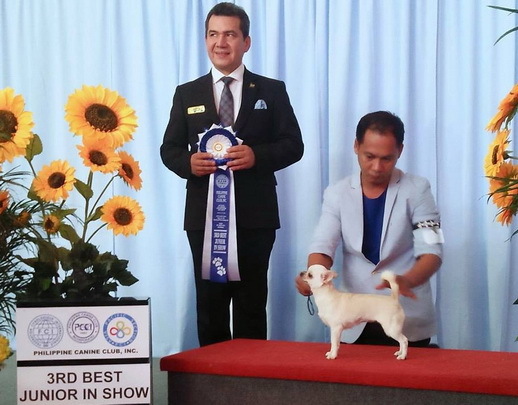 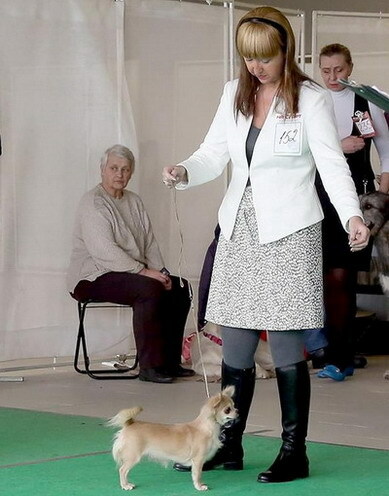 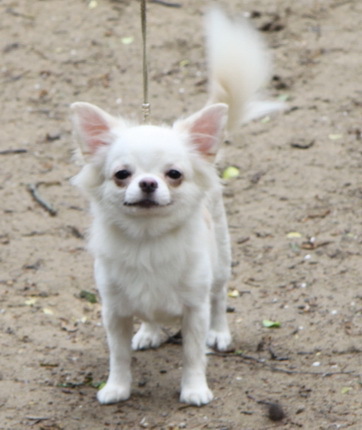 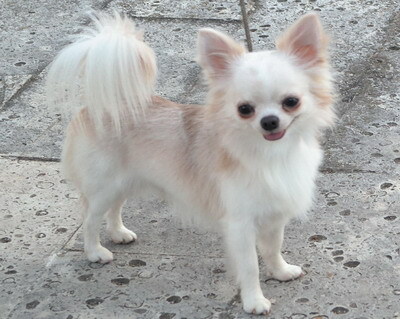 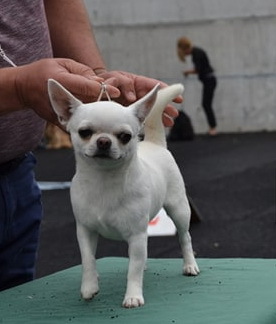 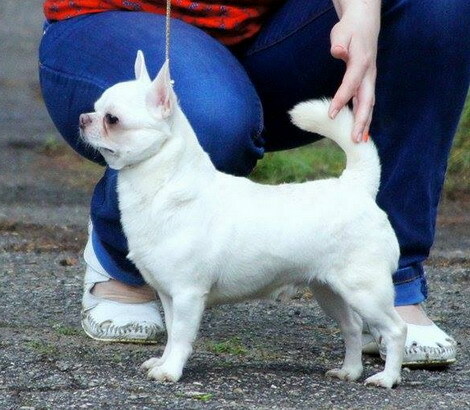 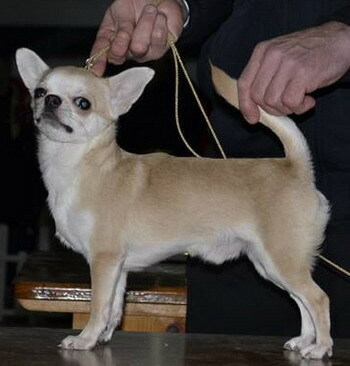 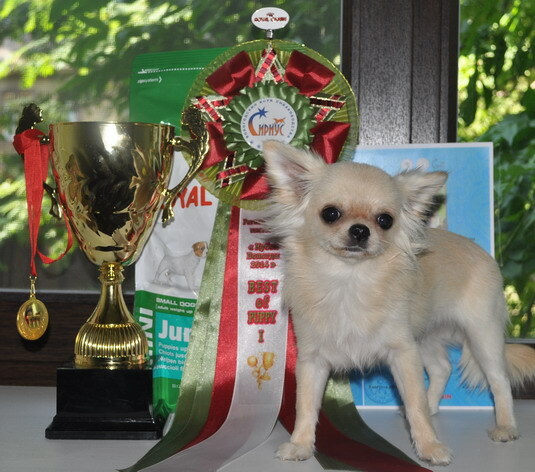 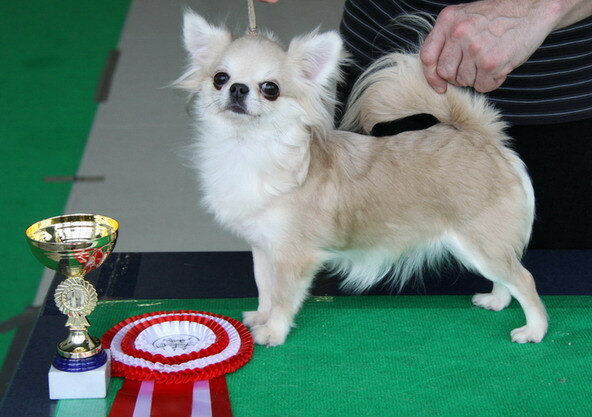 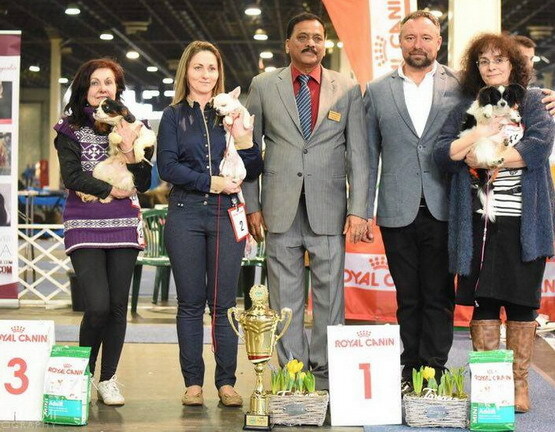 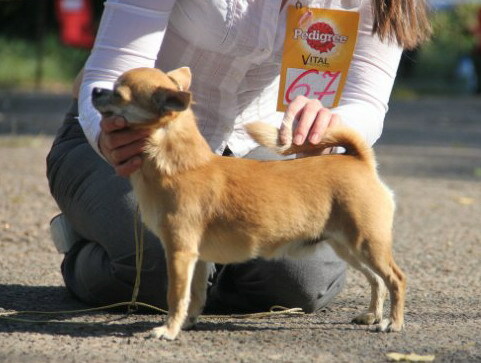 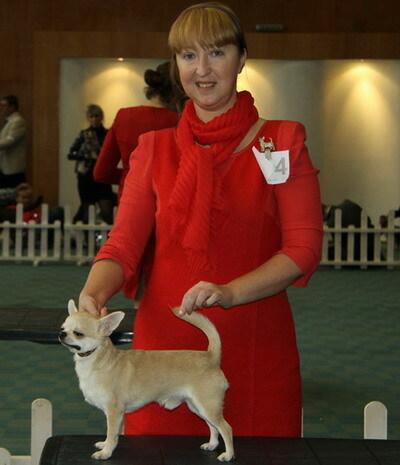 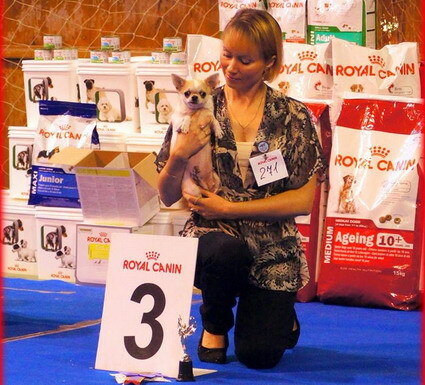 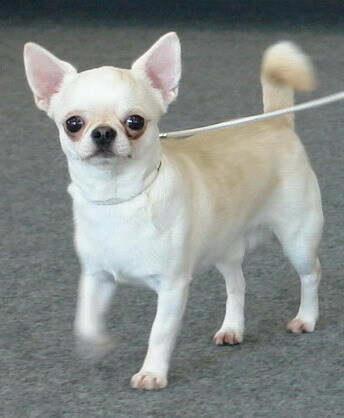 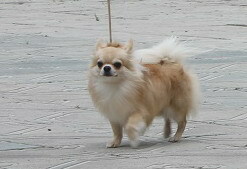 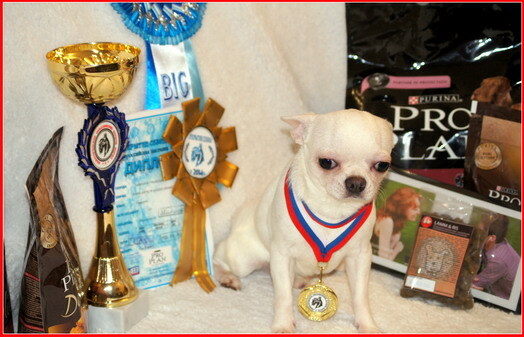 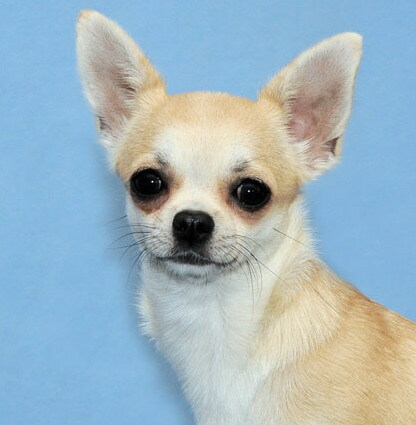 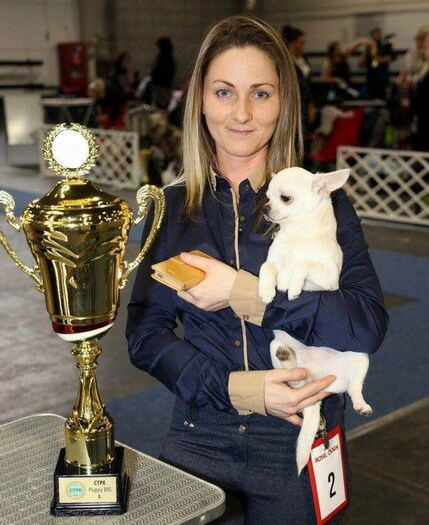 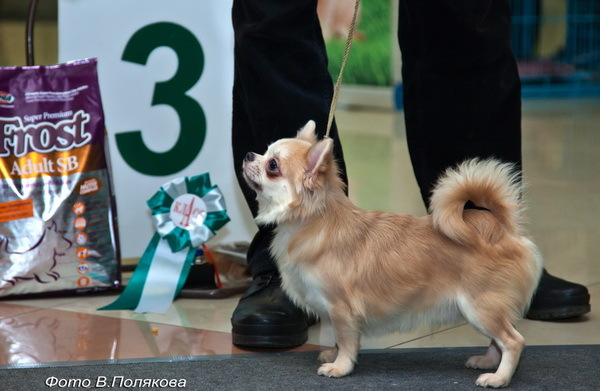 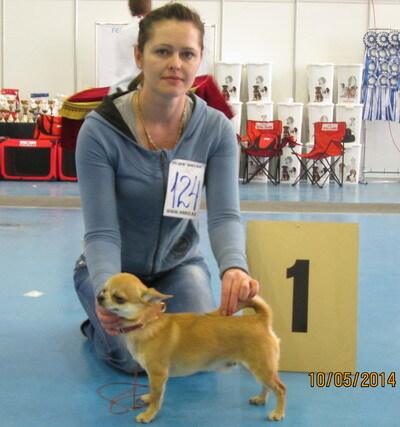 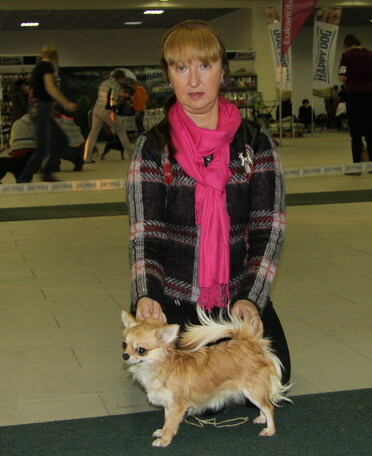 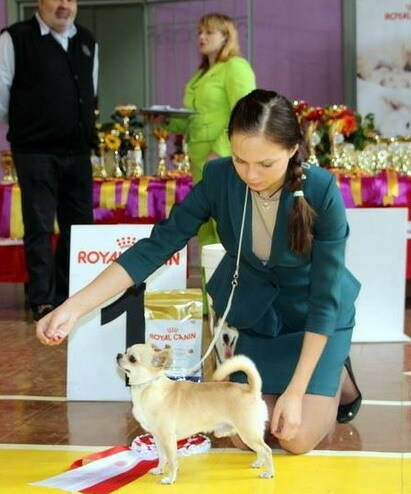 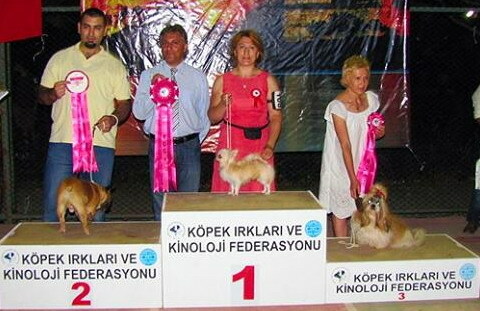 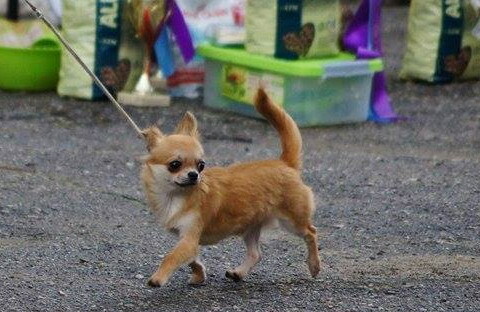 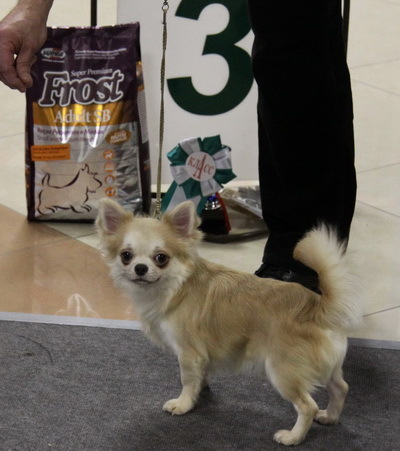 Shah Arpilin Pure Love: •Very Promissing I., Best Minor Puppy! 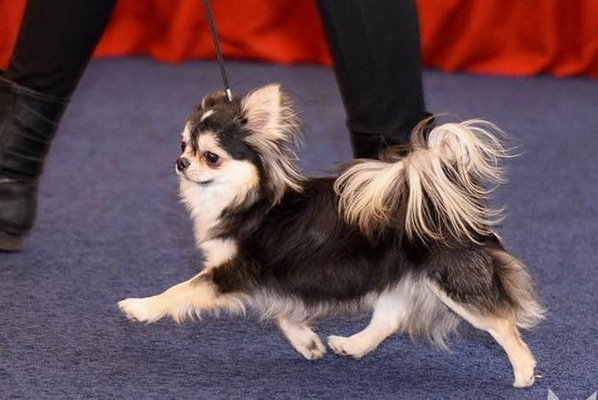 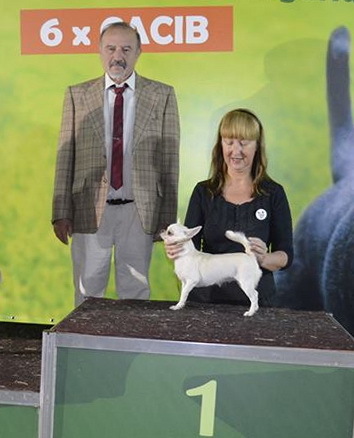 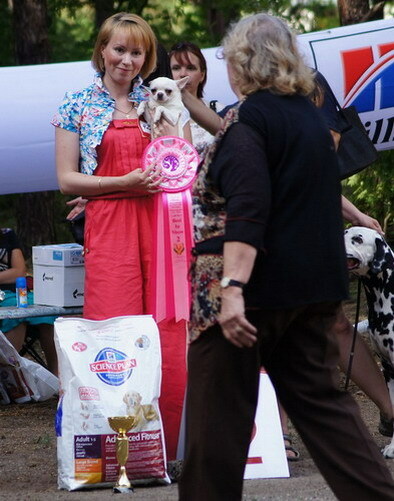 MINOR PUPPY BEST IN SHOW WINNER II. 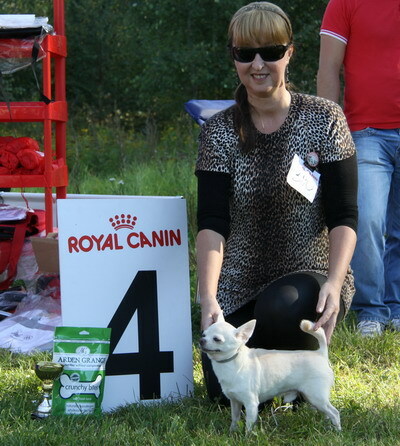 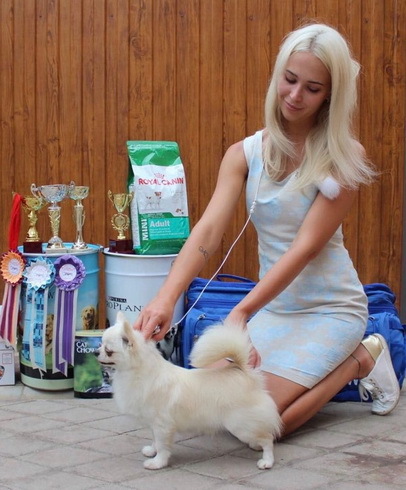 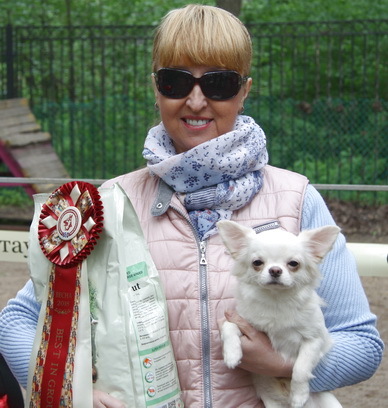 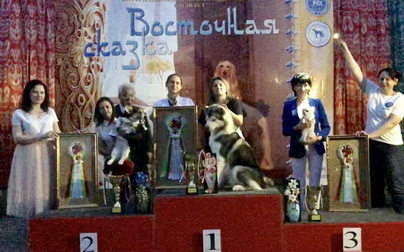 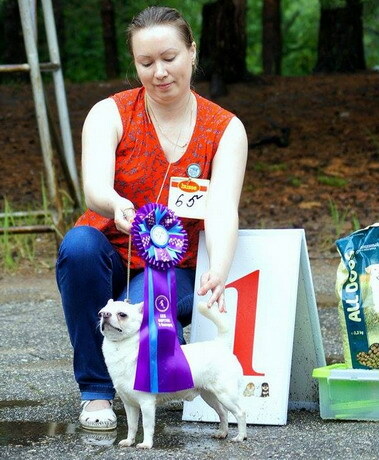 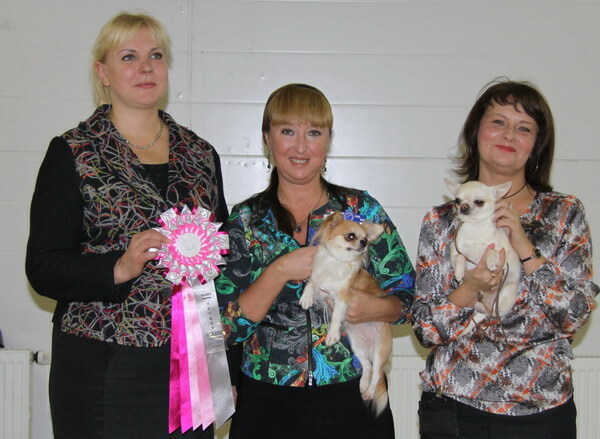 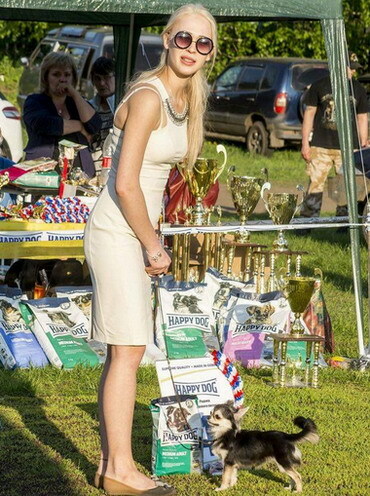 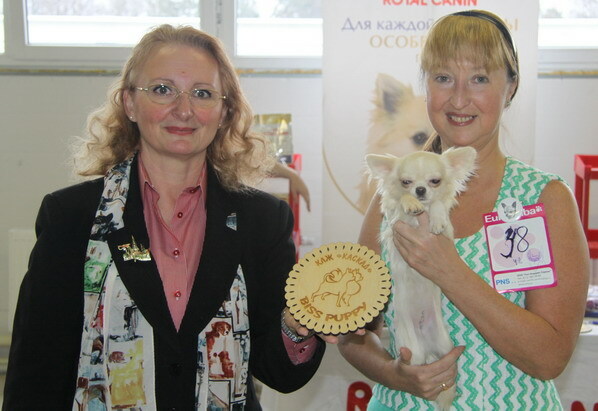 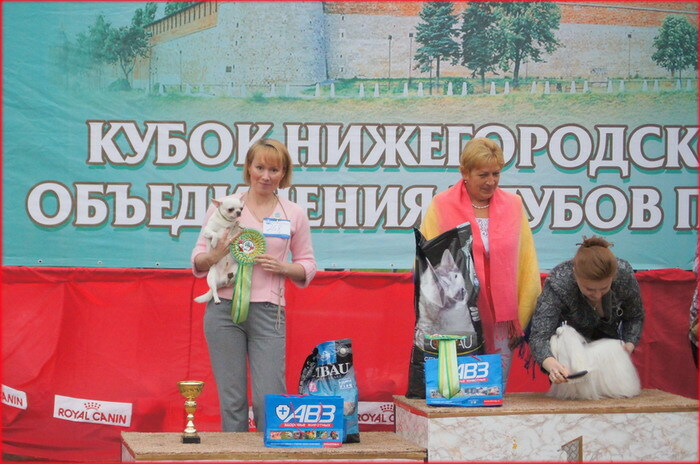 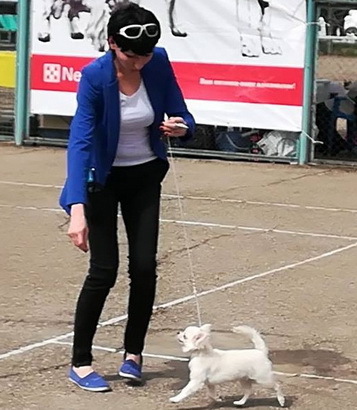 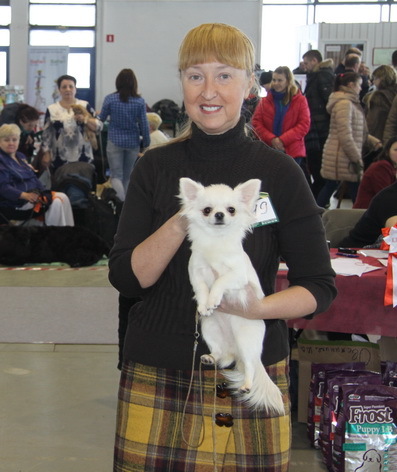 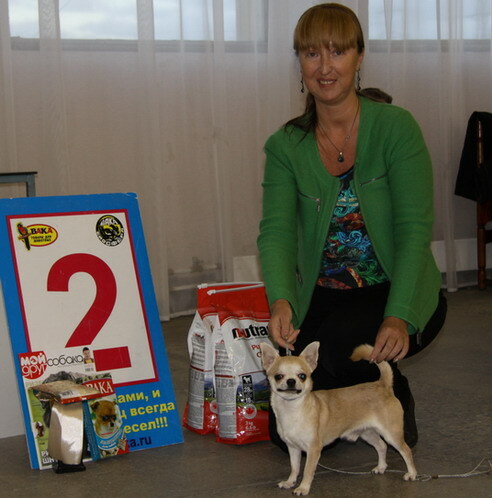 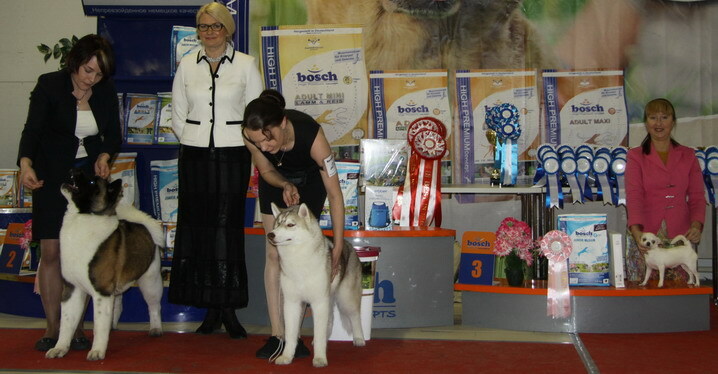 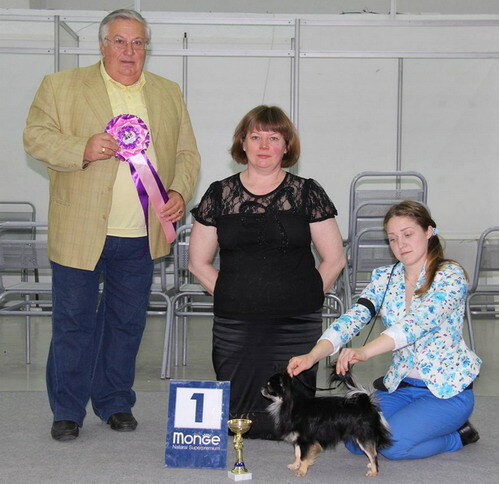 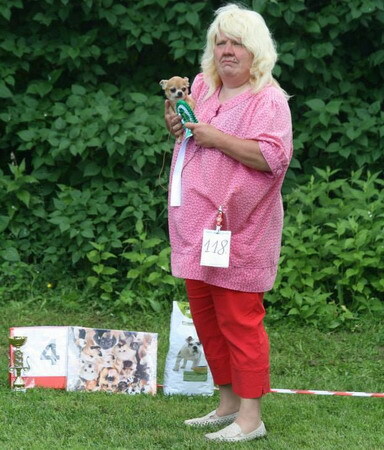 29.07.17 -LIPETSK (RUS) National dog show "ETOLOG" , CHAMPION RKF ! 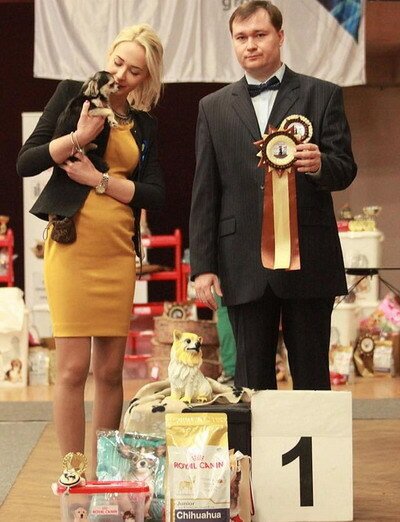 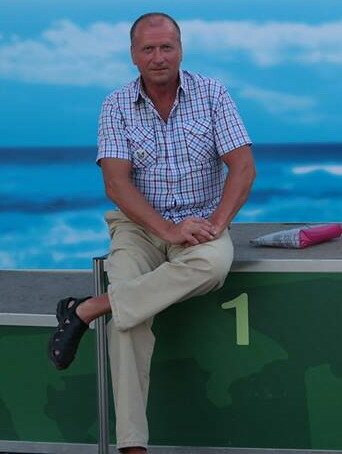 Judge - Shamil Abrakimov ! 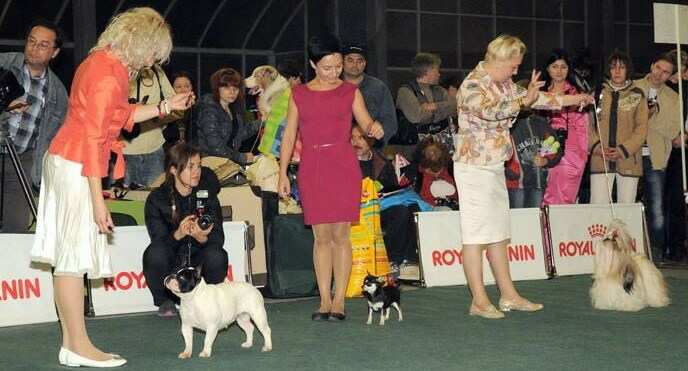 Ex1,JUN CAC.BOB JUN,BOB BIS II (JUN) BIG I ! 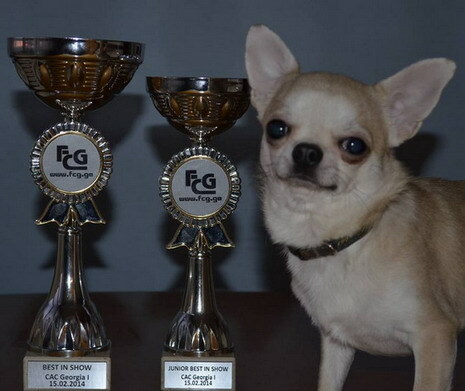 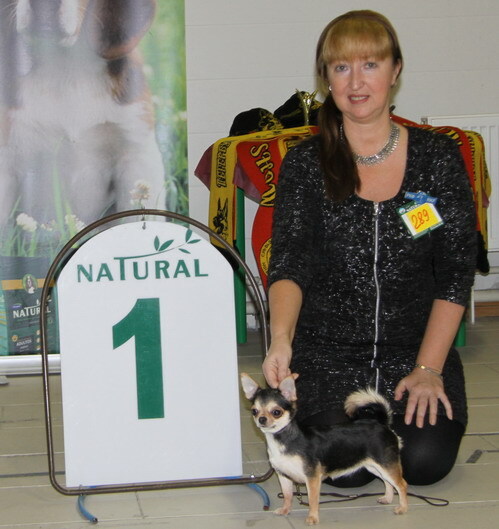 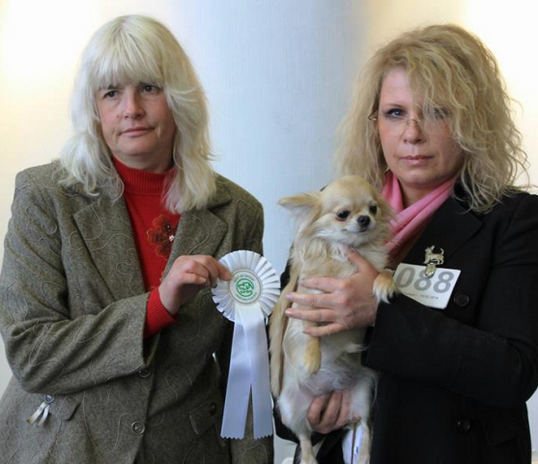 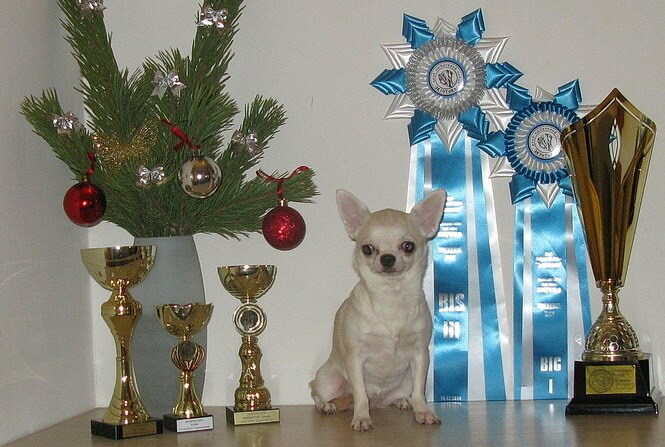 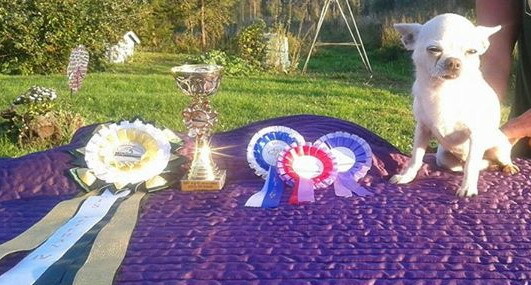 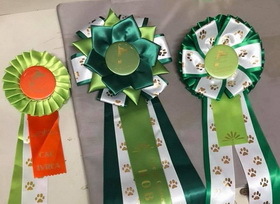 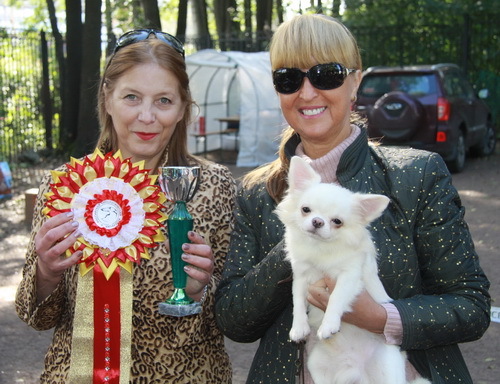 Very Promising 1., Puppy BOB and Puppy Best in Show Winner I.!! 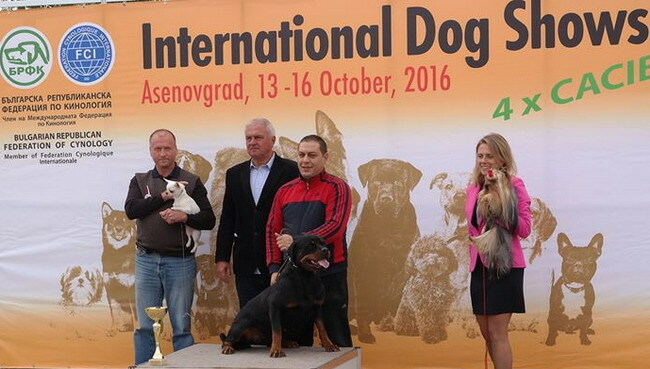 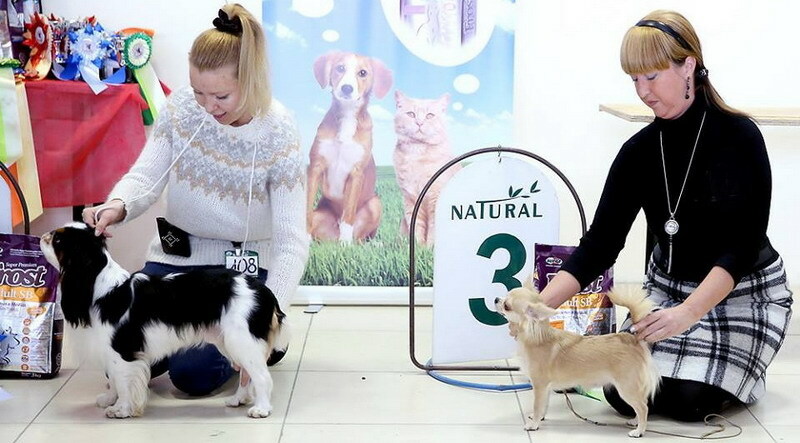 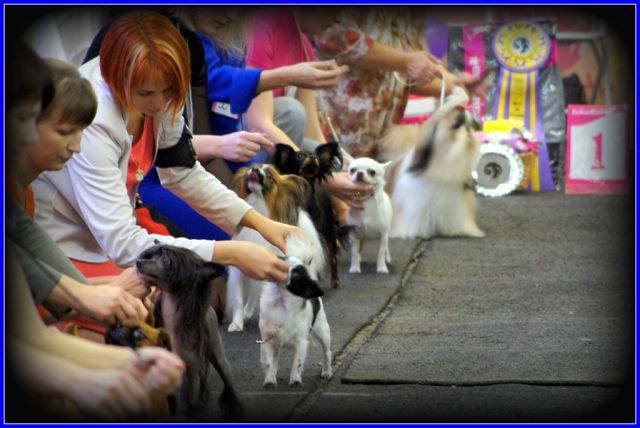 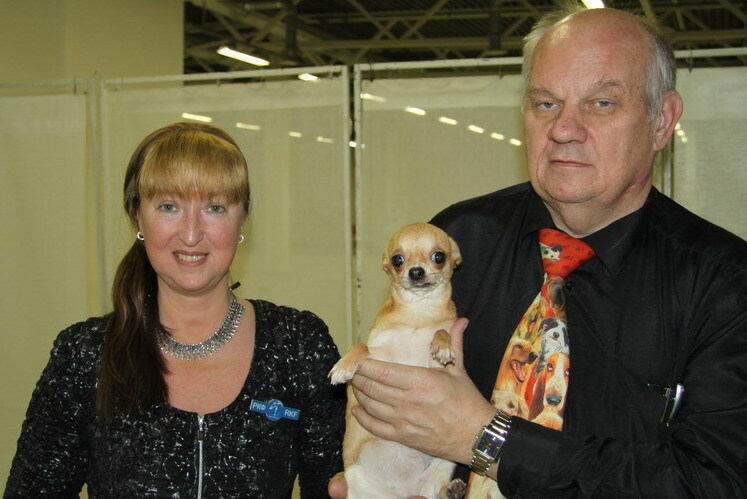 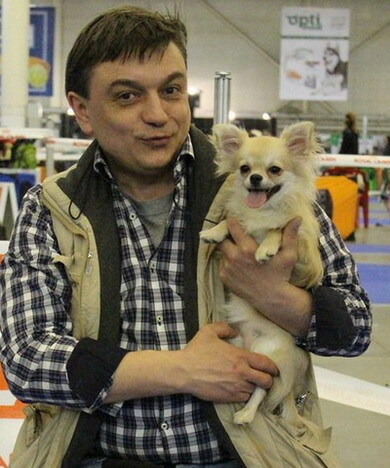 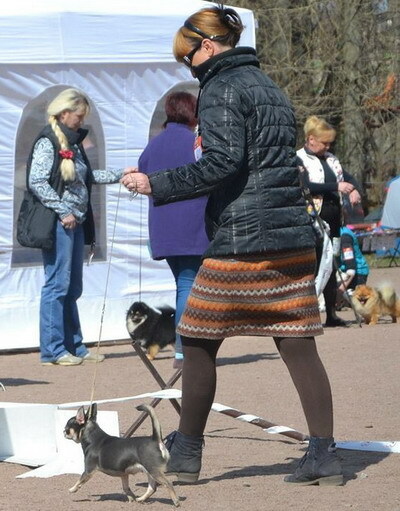 24.09.2016 MOSCOW (RUS) National dog show. 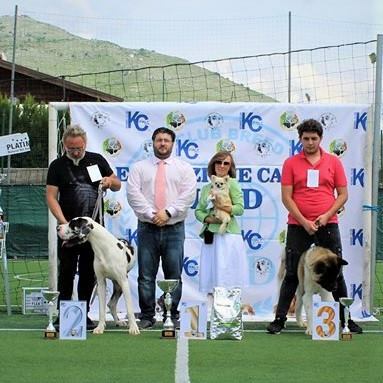 ex1,CAC,CH RKF,best female,BOB, BIG III. 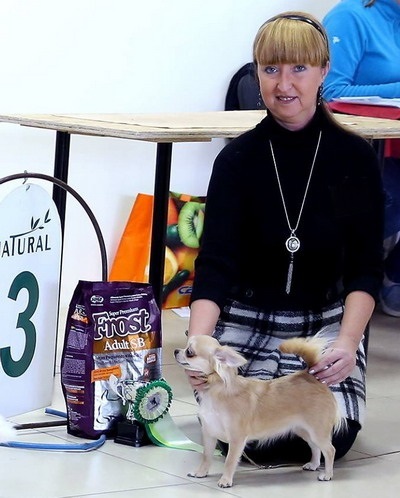 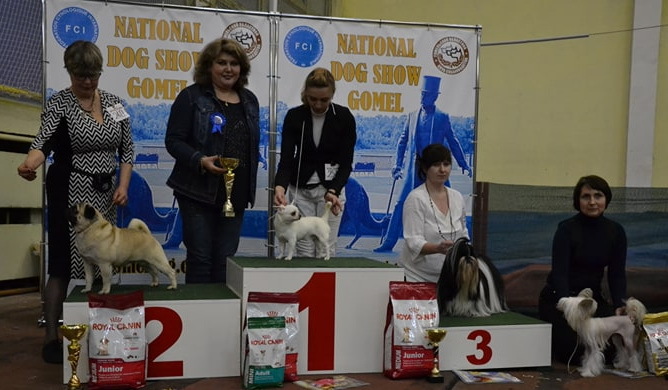 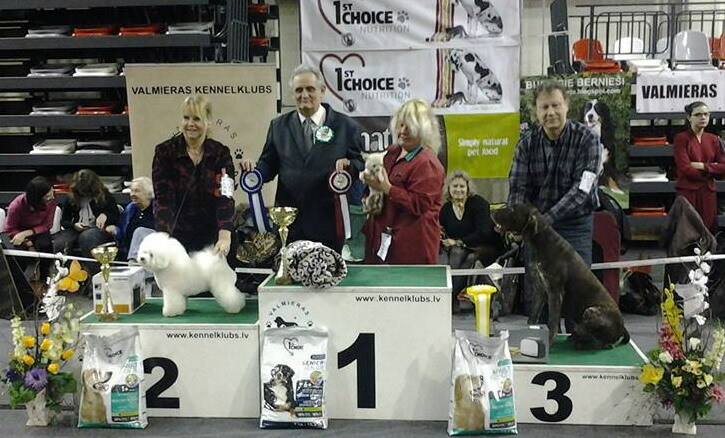 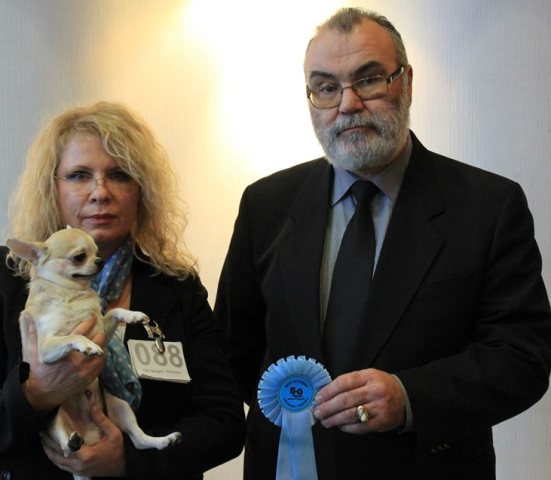 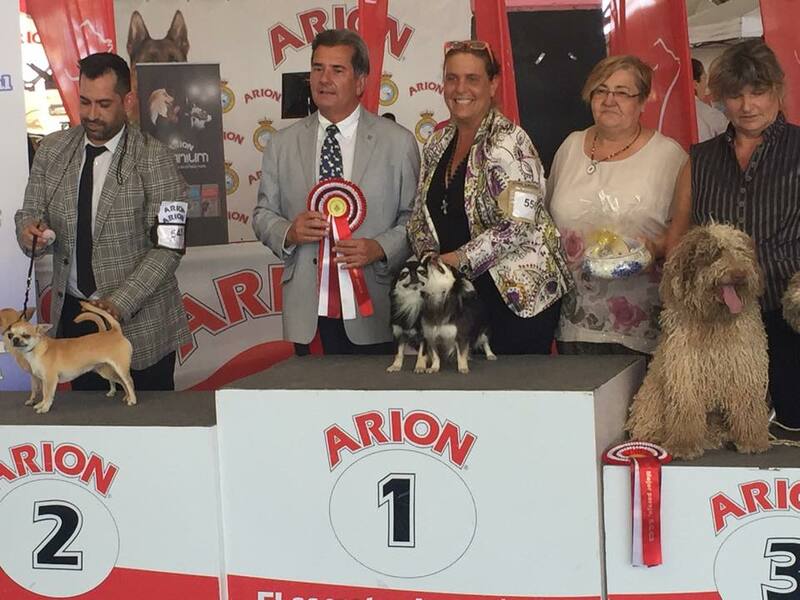 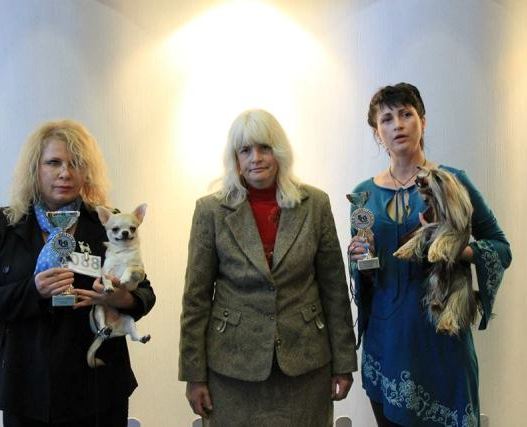 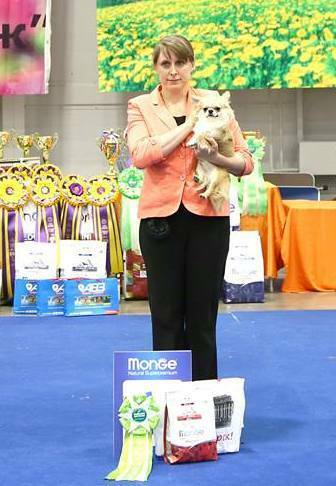 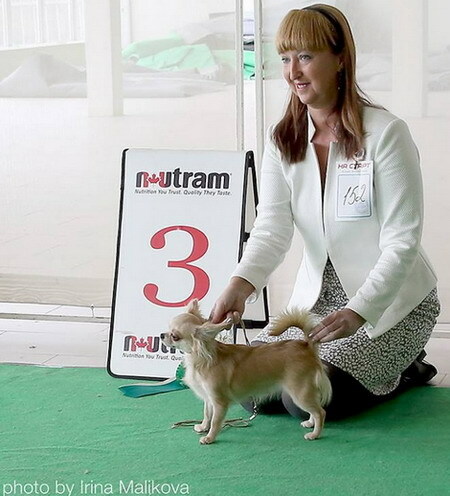 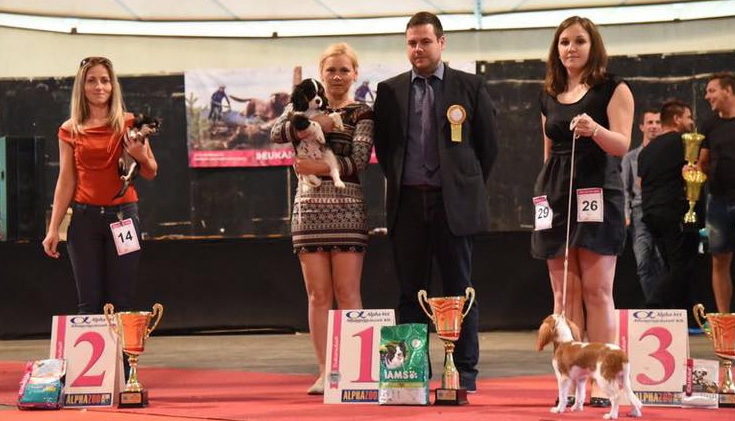 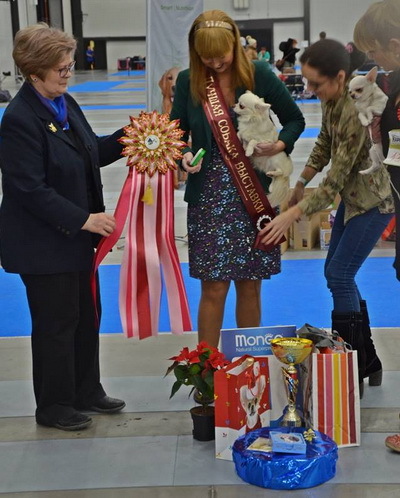 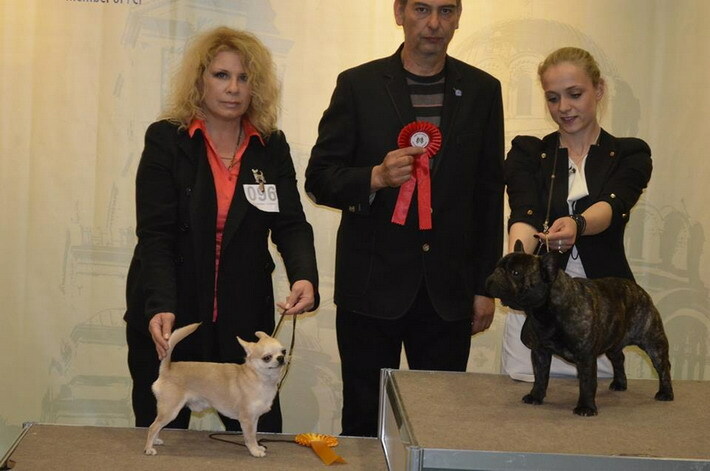 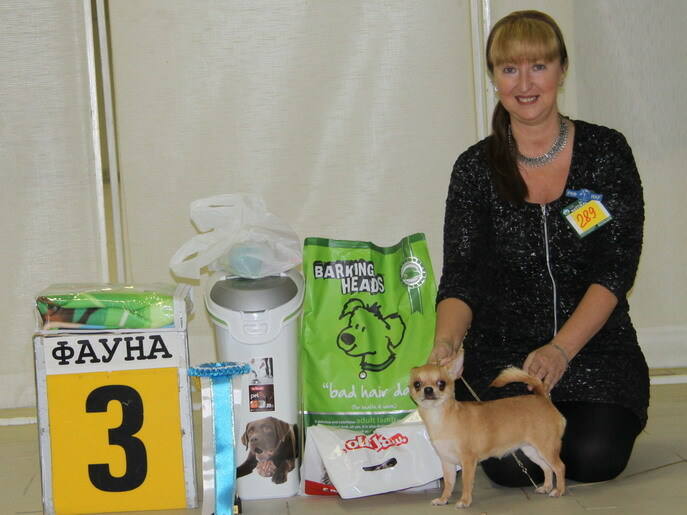 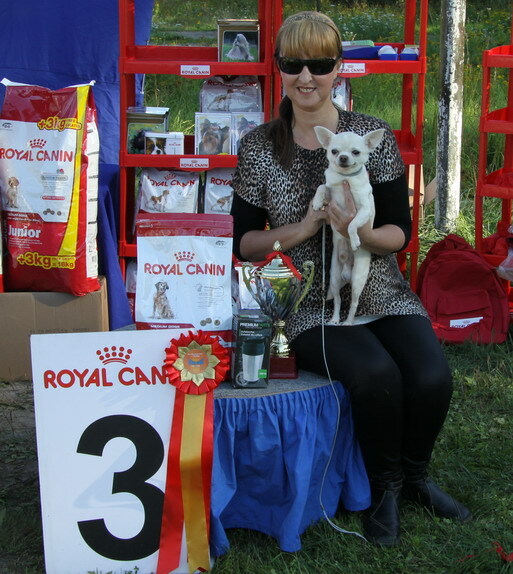 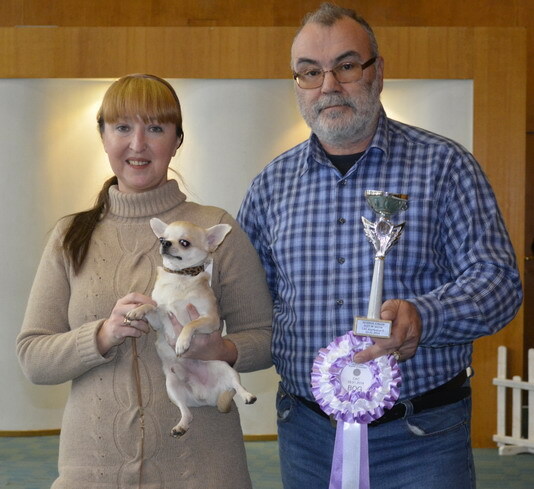 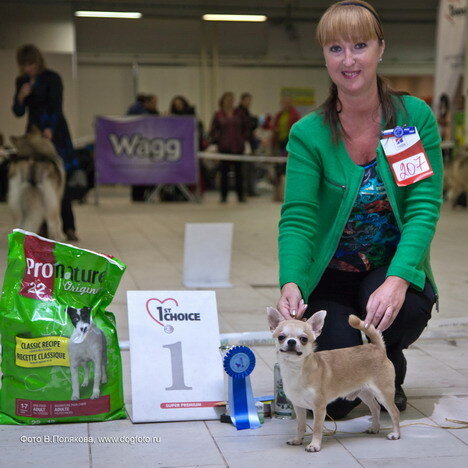 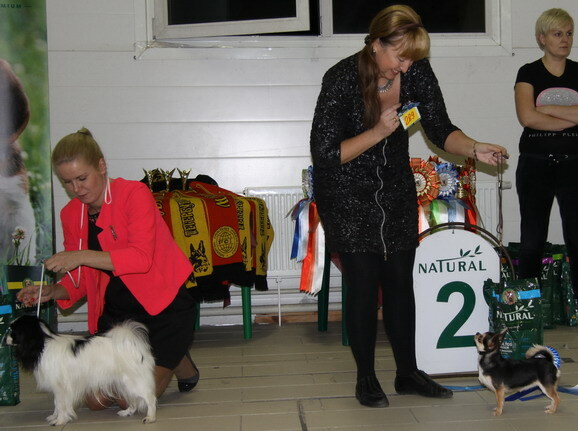 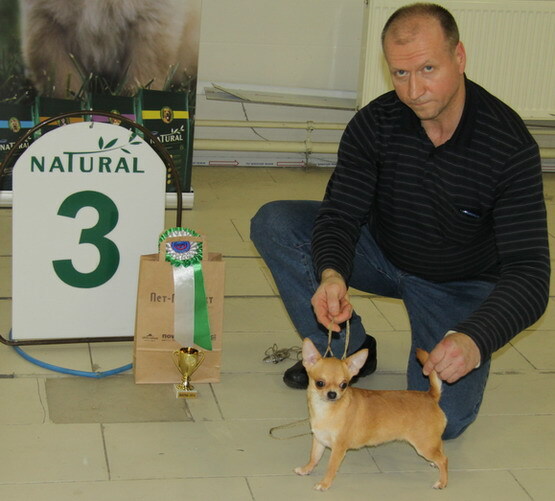 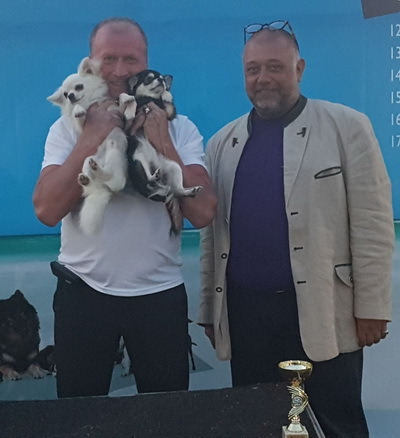 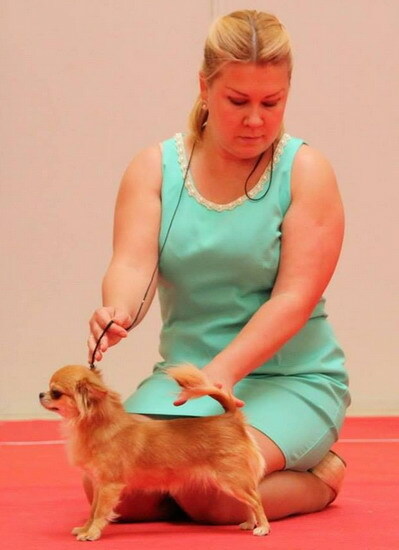 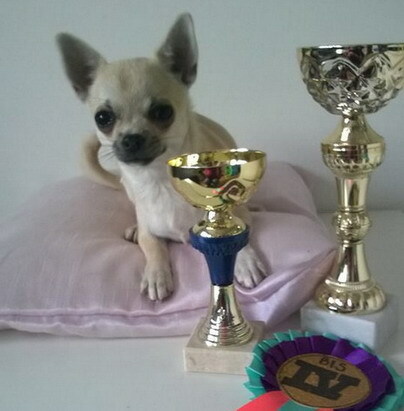 ESTONIA NATIONAL SHOW 1.8-2015 SHAH ARPILIN DJ.LUBOMIR BEST MALE 1 , BOB VETERAN AND BOS JUDGE MAITE GONZALBO LORENZO SPAIN. 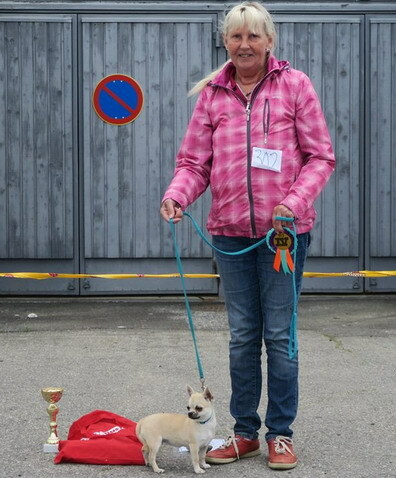 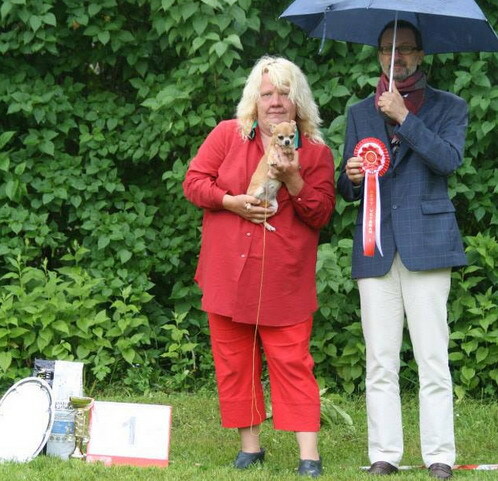 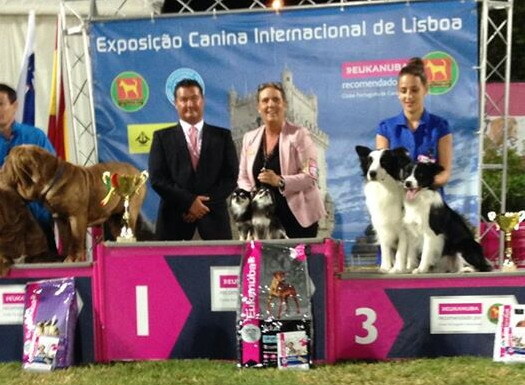 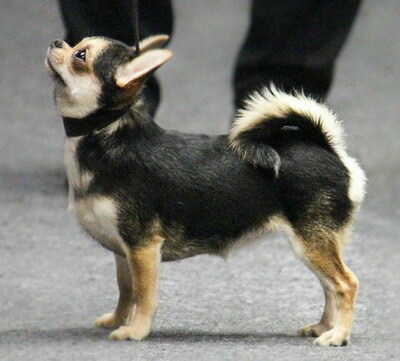 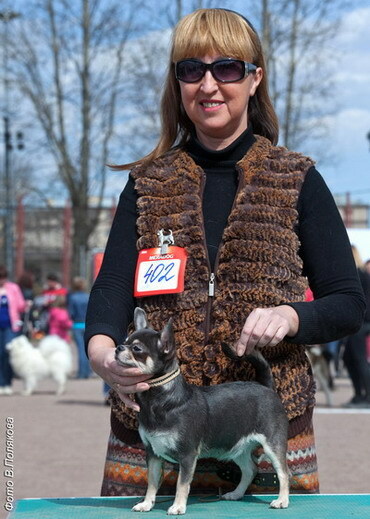 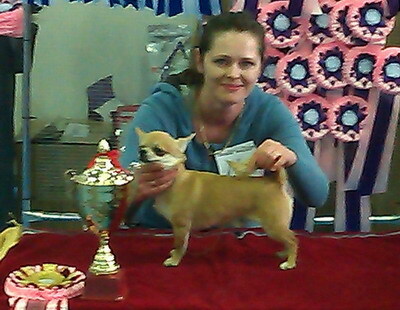 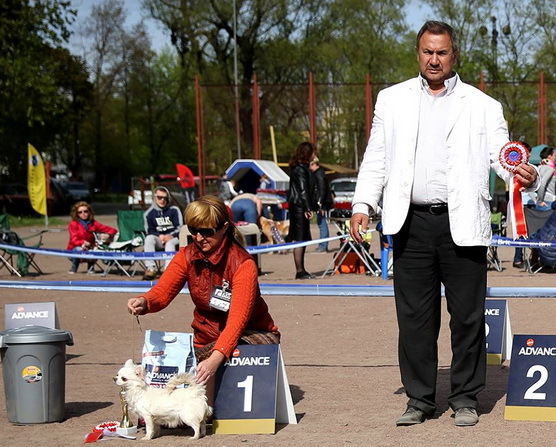 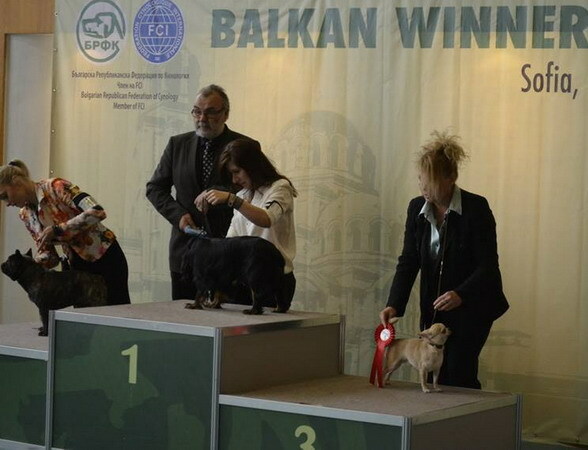 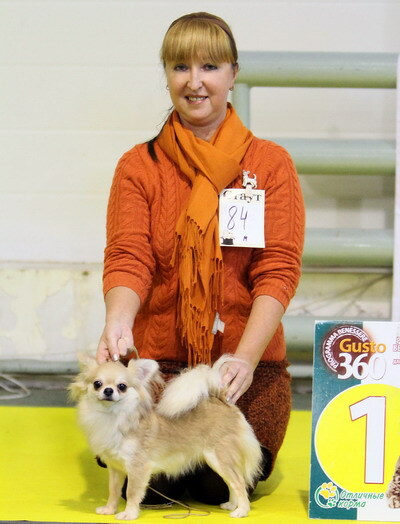 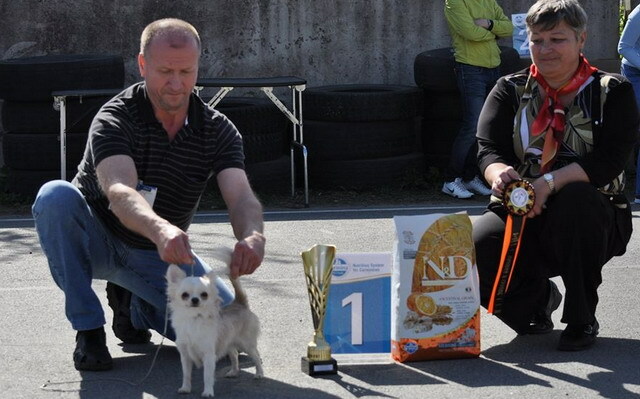 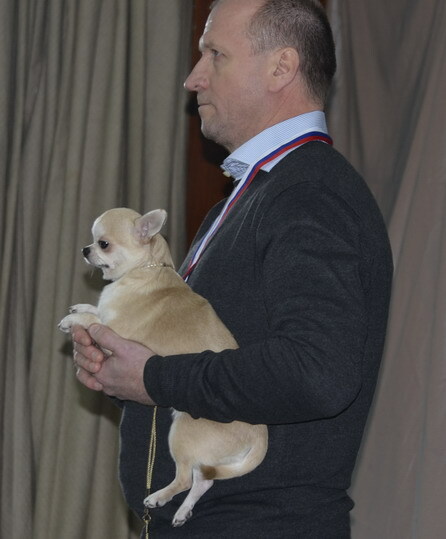 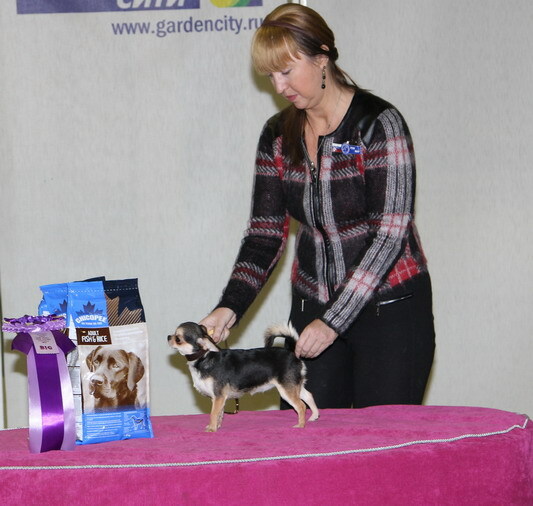 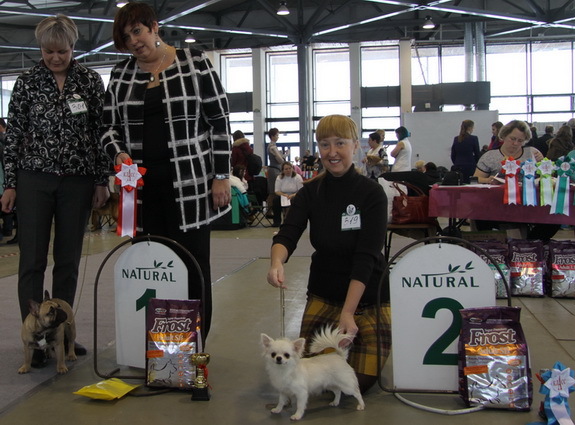 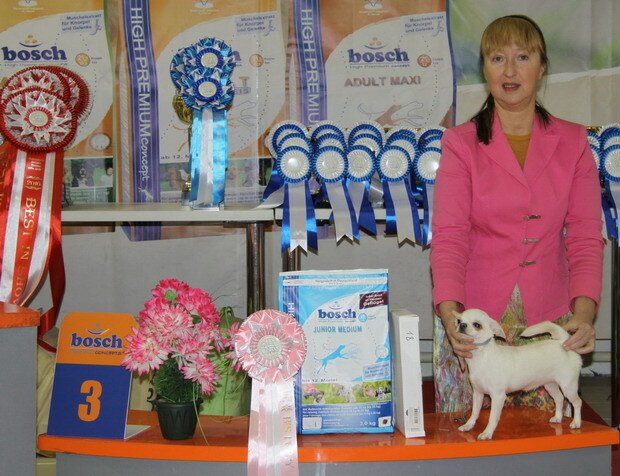 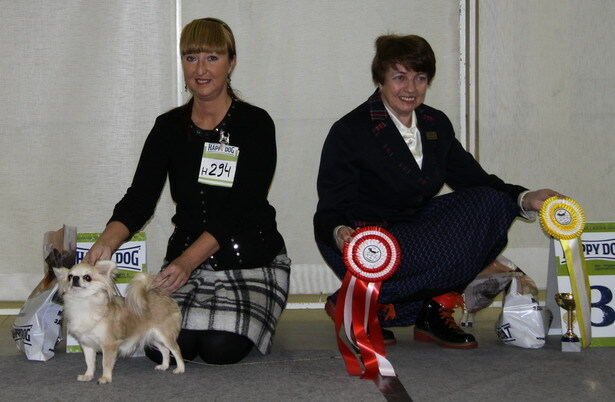 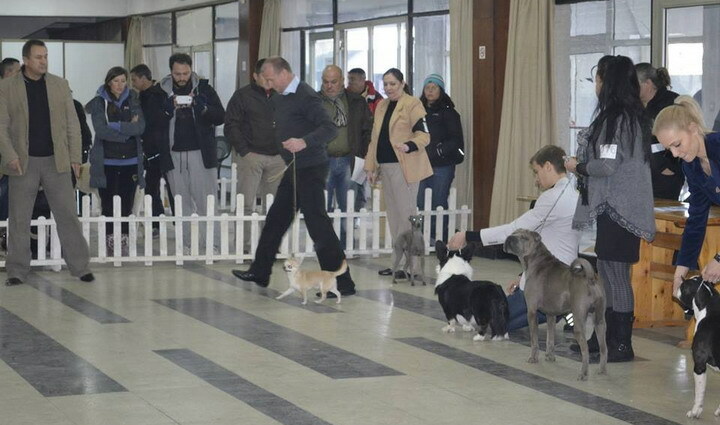 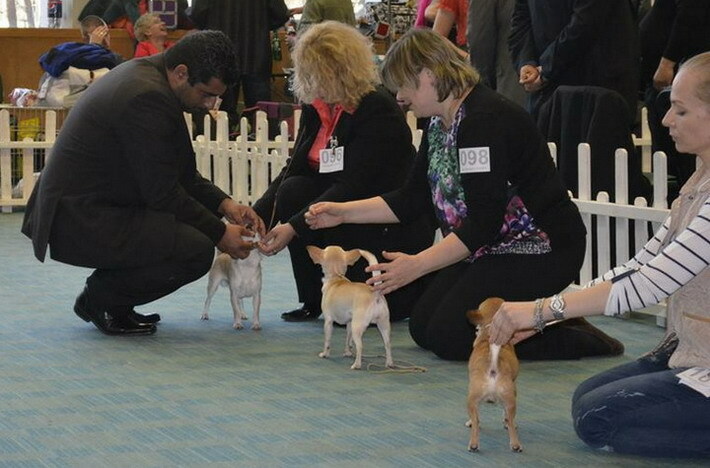 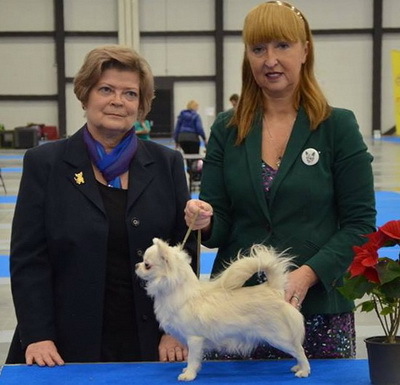 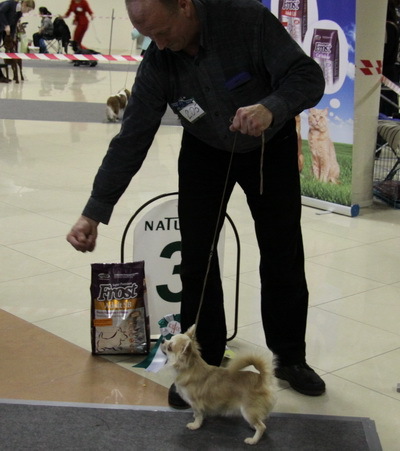 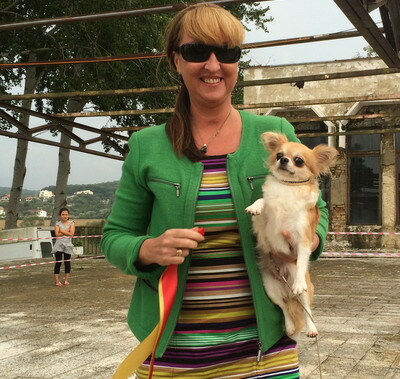 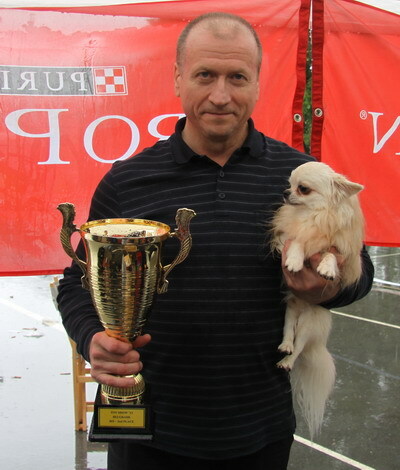 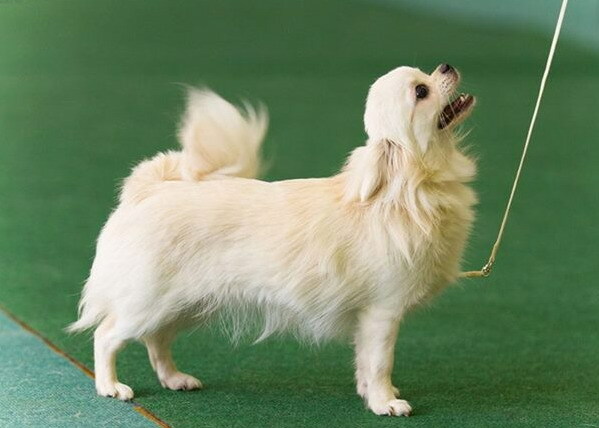 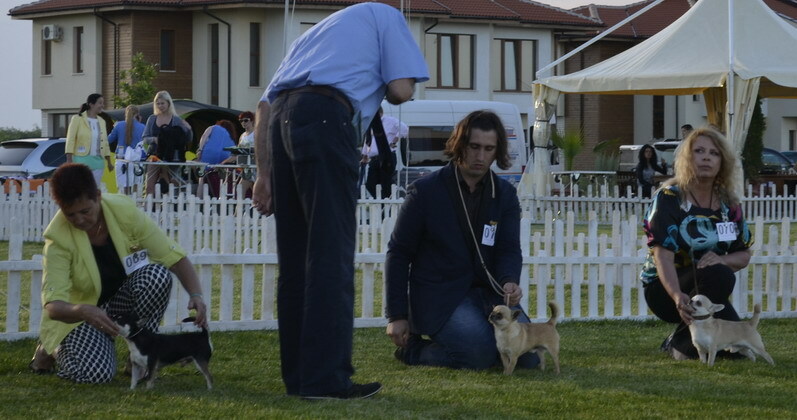 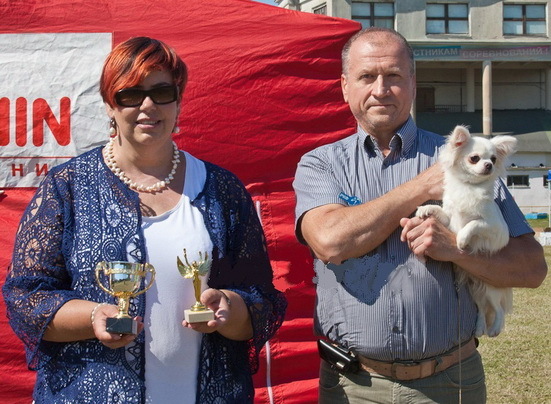 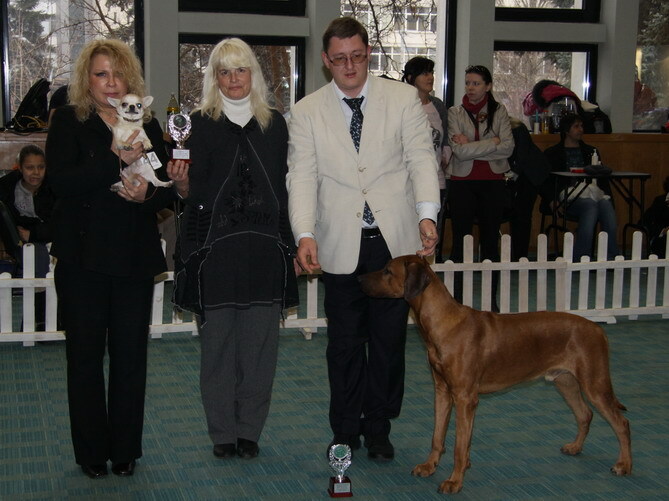 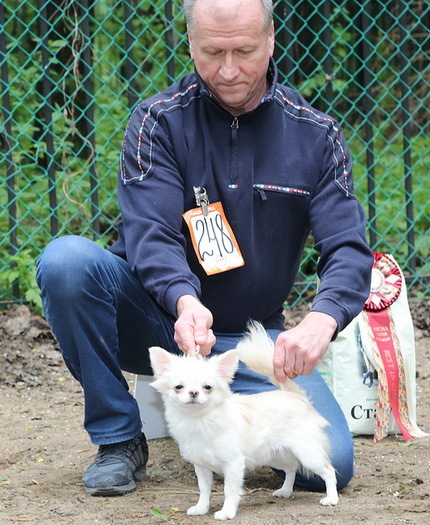 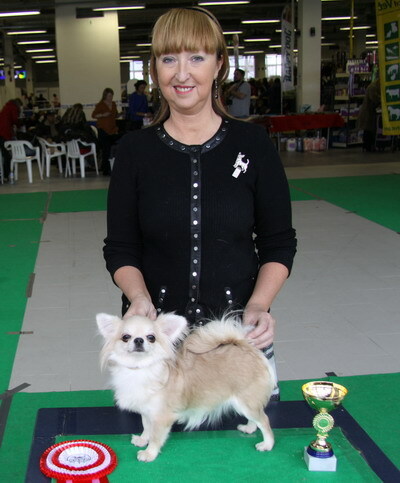 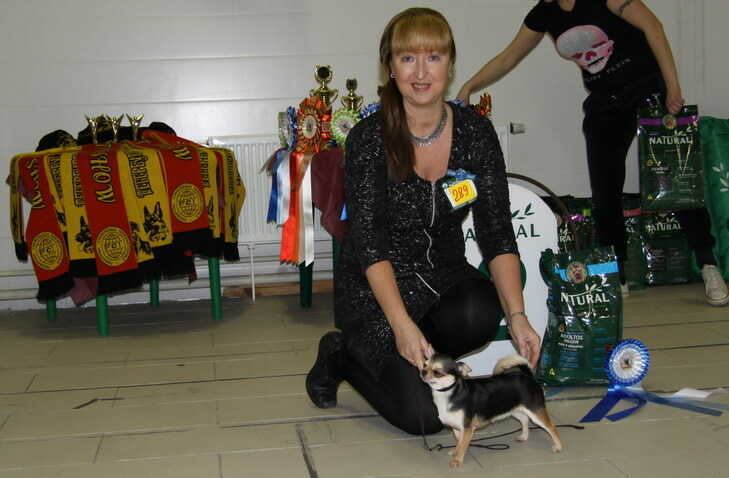 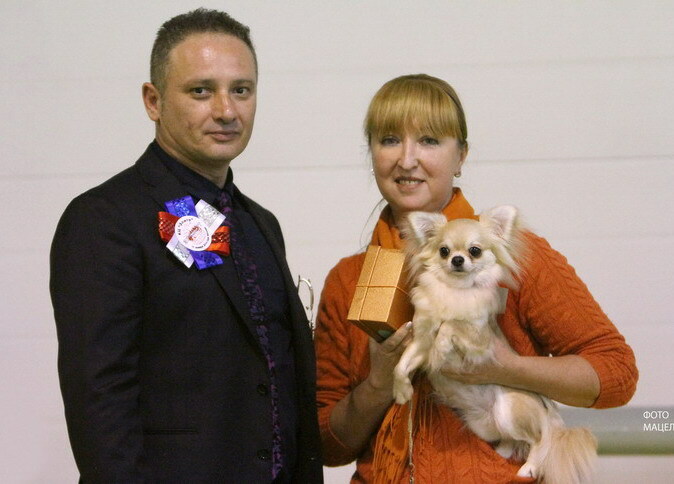 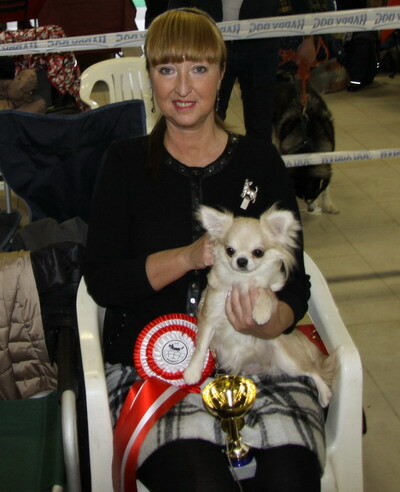 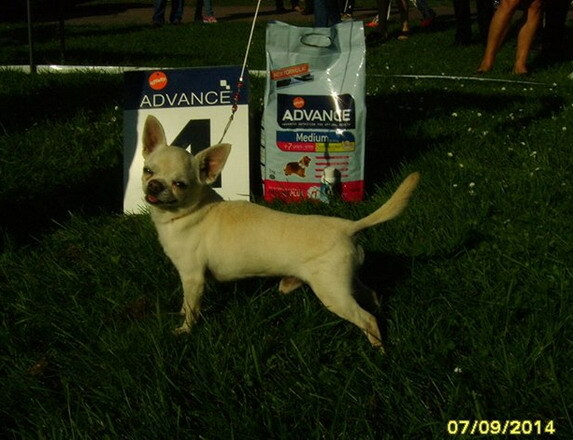 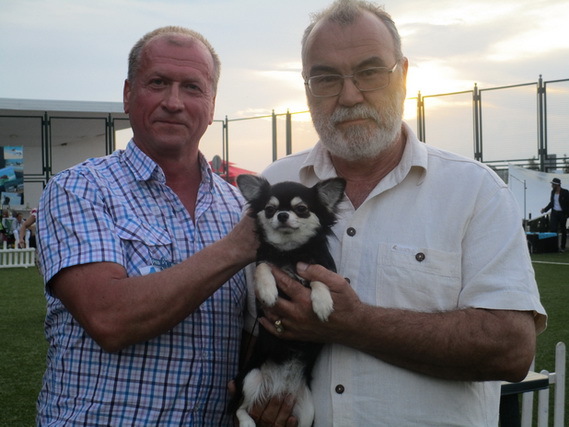 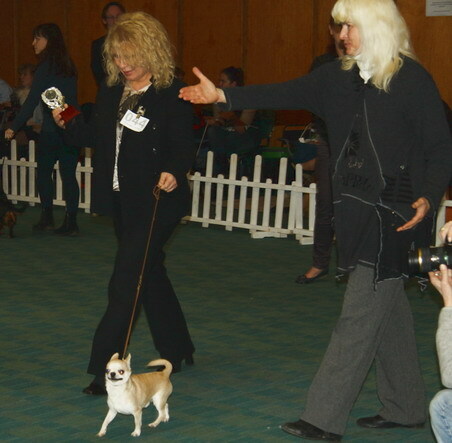 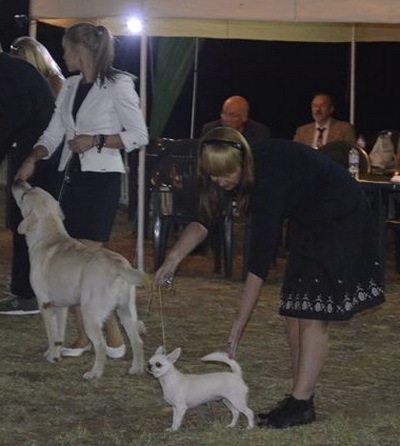 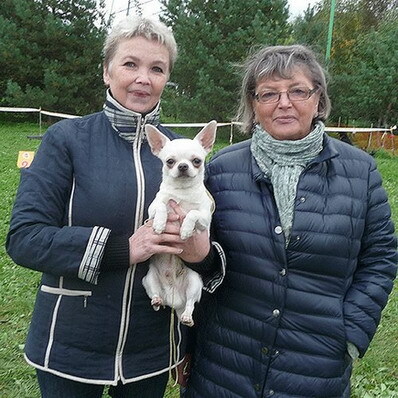 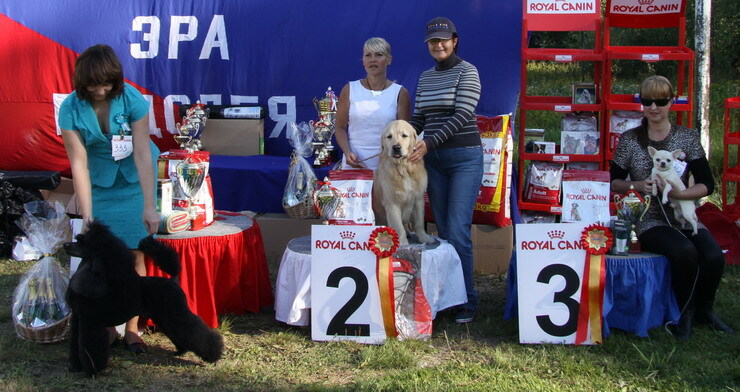 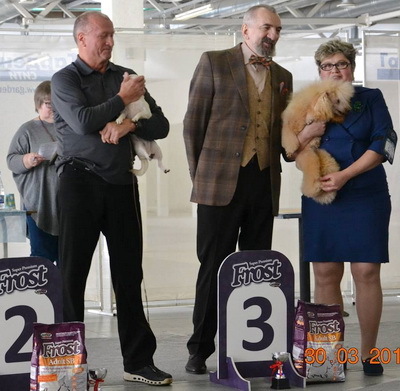 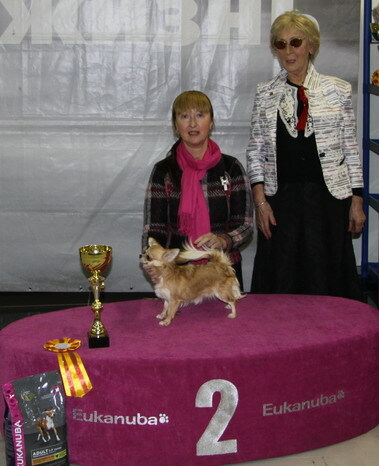 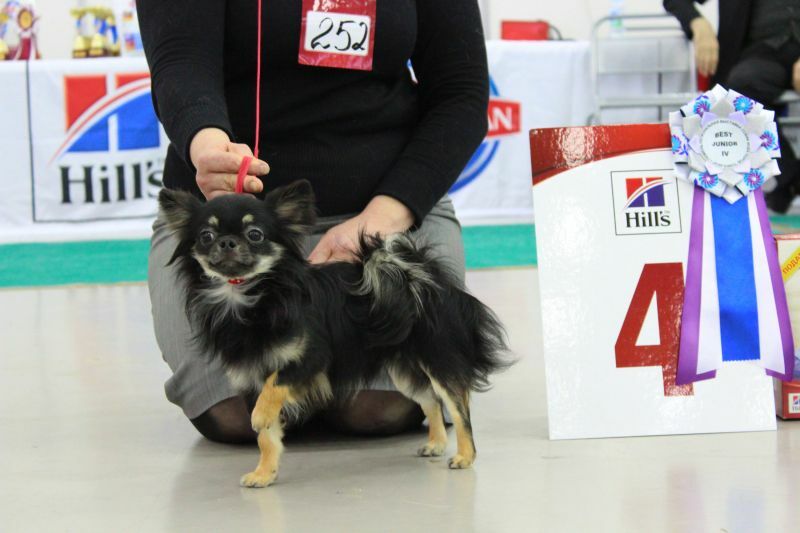 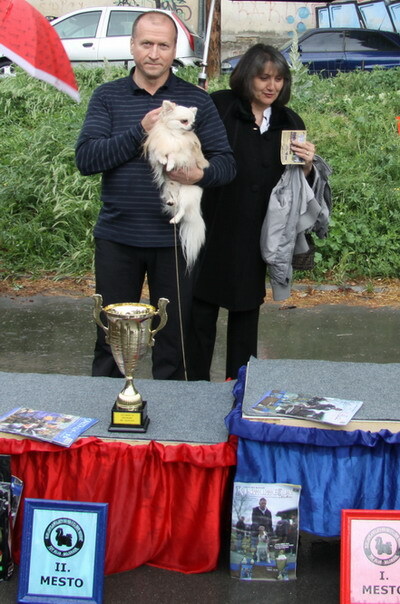 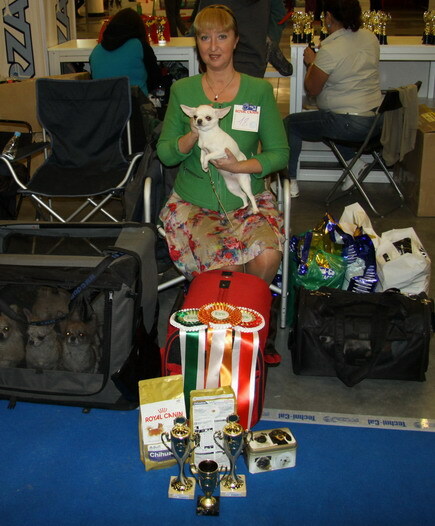 2.8-15 LUBI WAS BEST MALE 1, BOB VETERAN AND BOS JUDGE PETROULA RICHARD FRANCE AND FINALLY BEST IN SHOW-4 VETERAN. 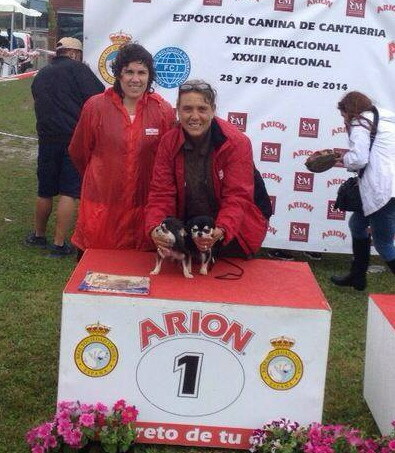 JUDGE MAITE GONZALBO LORENZO SPAIN. 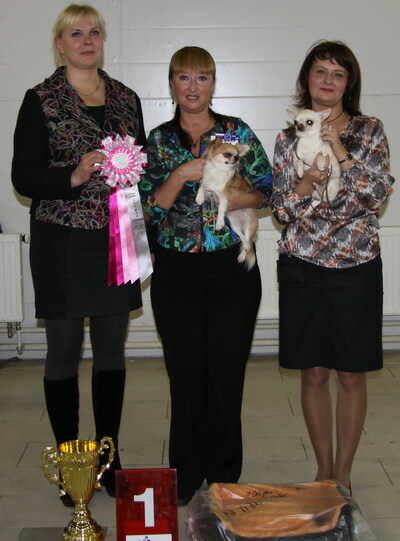 THANK YOU JUDGES AND TO LINA FOR THIS AMAZING VETERAN. 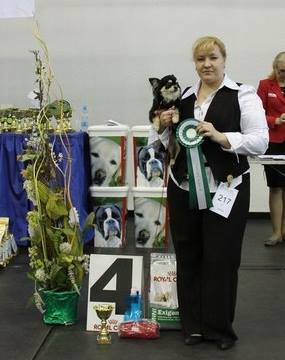 AFTER 1 MONTH LUBI WILL BE 13 YEARS OLD.THANKS TO HANDLER KATI LEE TOO FOR GOOD JOB! 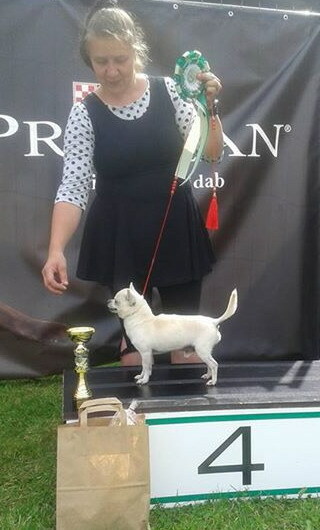 Gracias a los jueces Sr. Enrique Filipini (AR), Sra. 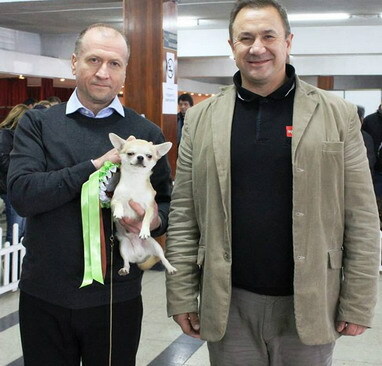 Annuka Paloheimo (FI), Sr. David Ojalvo (AR) y Sr. Angel Pons (ES). 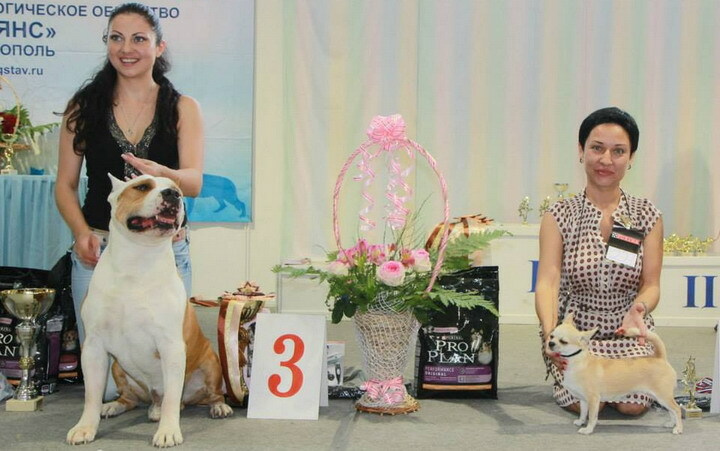 3ª MEJOR PAREJA: "Karrapicho y Leo". 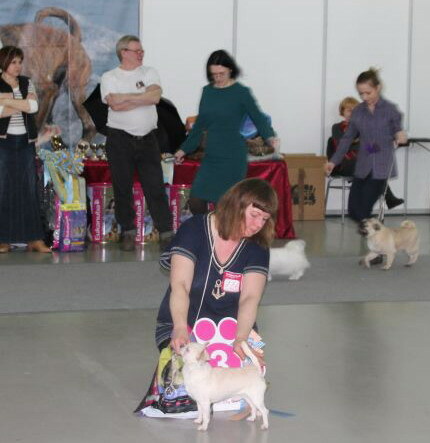 Sweet memory from last september 9-group show Estonia. 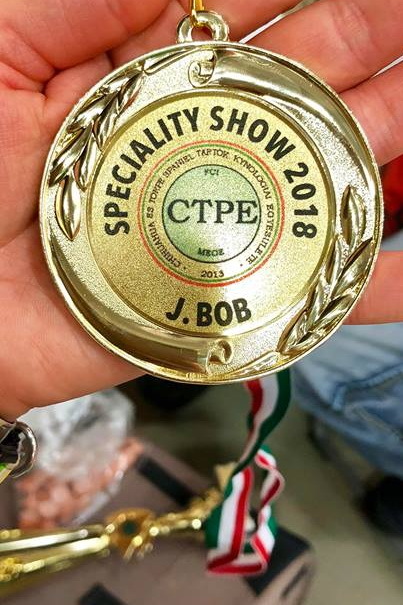 JCAC , JBOB , BOB, BOG !!! 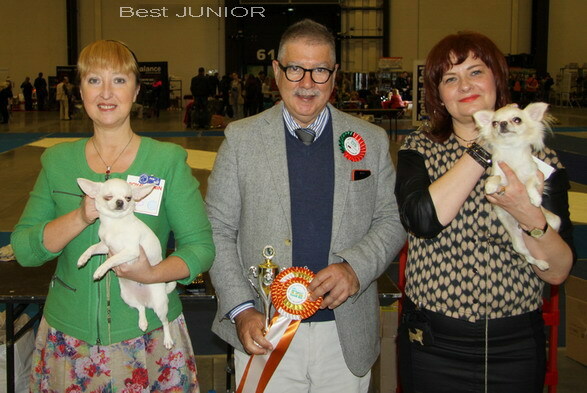 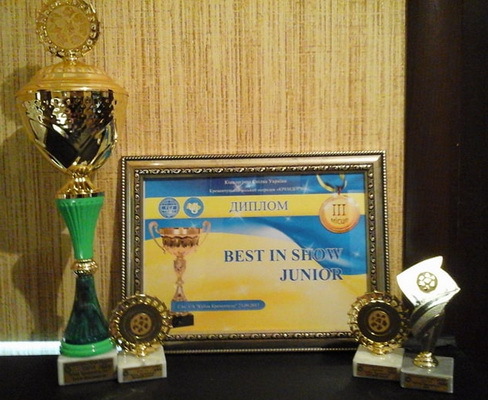 JUNIOR BEST IN SHOW-1 !!! 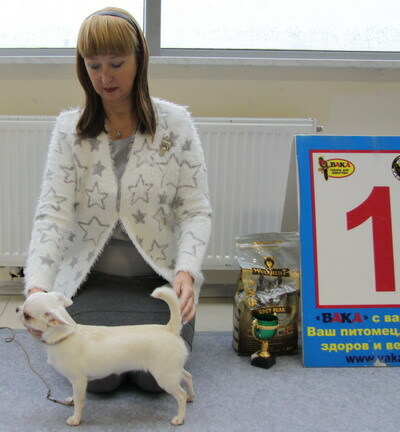 BEST IN SHOW-1 !!! 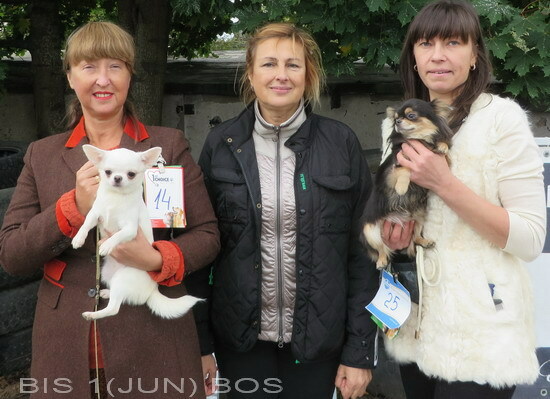 Exl., JCAC , JBOB,BOB,BIS 2 (JUN) exp.